Hayward Gardens, London, SW15 3BU. 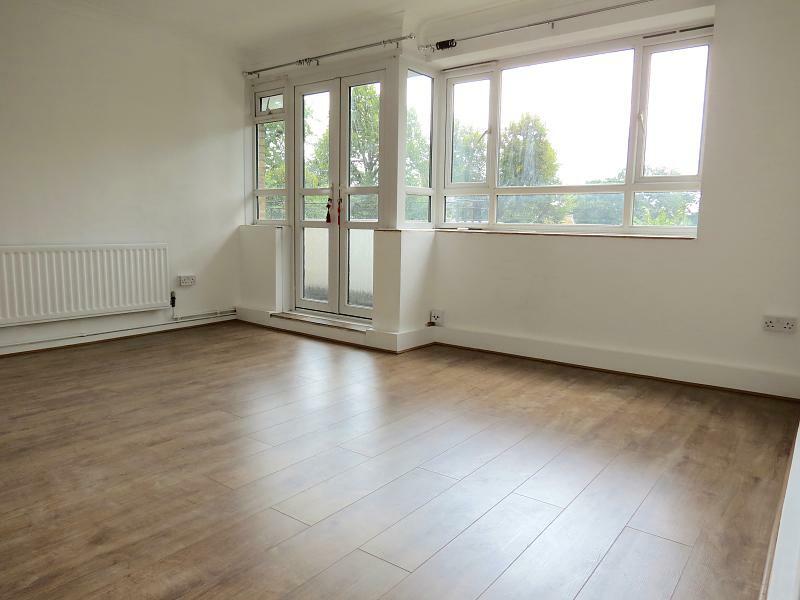 *** NEW TO THE MARKET*** This one bedroom flat located on the second floor, purpose-built, right on the edge of Putney Heath near Putney Hill. 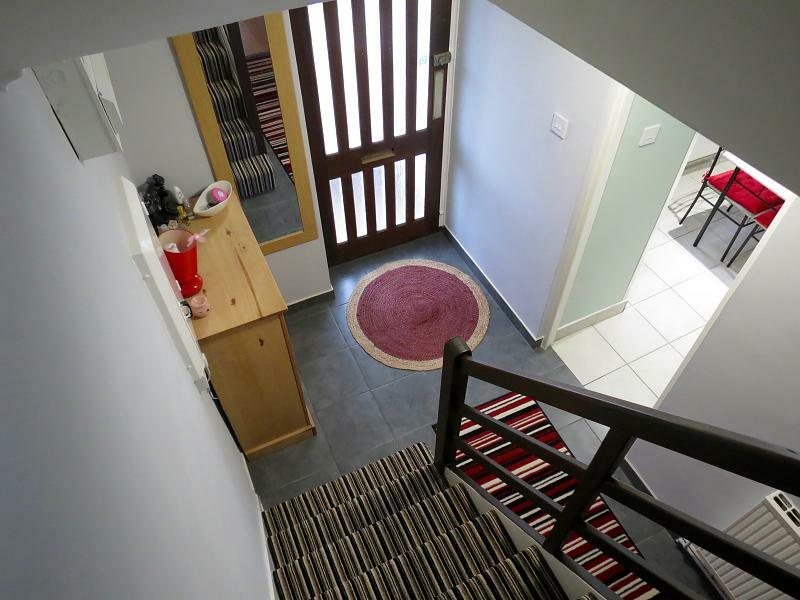 The property comprises a spacious entrance hallway, a double bedroom, a reception room, bathroom and a fitted-kitchen. Further benefits include gas central heating, double glazed and private balcony, communal gardens, residents' parking and security entrance. Ideally located for bus routes to surrounding areas. 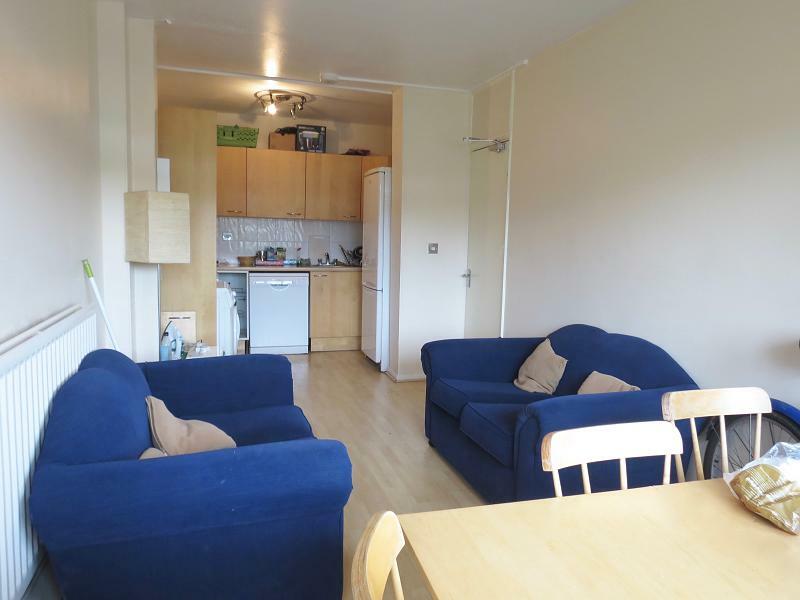 Putney mainline station and East Putney Station (District Line) are within walking distance. 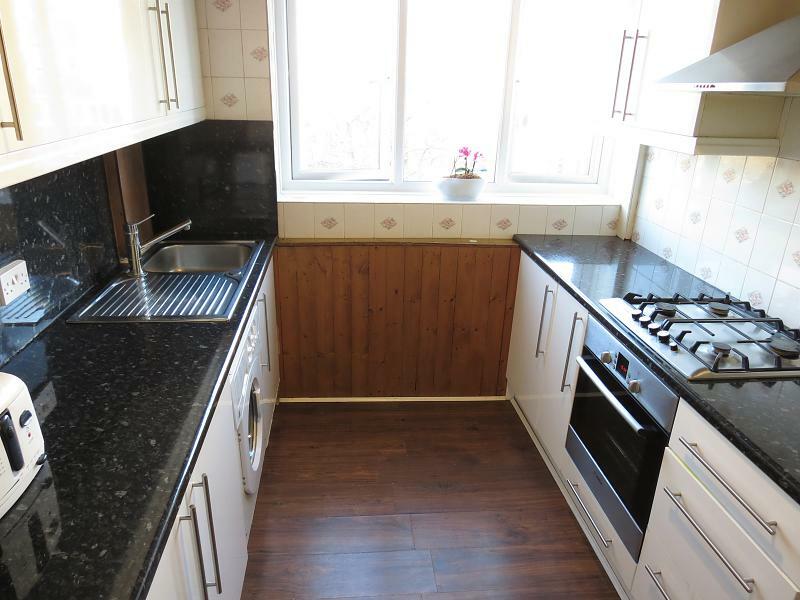 THIS PROPERTY IS SUITED TO INVESTMENT BUYERS AND FIRST TIME BUYERS. SOLD WITH OR WITHOUT TENANTS. CHAIN FREE. Frensham Drive, Putney, SW15 3EF. 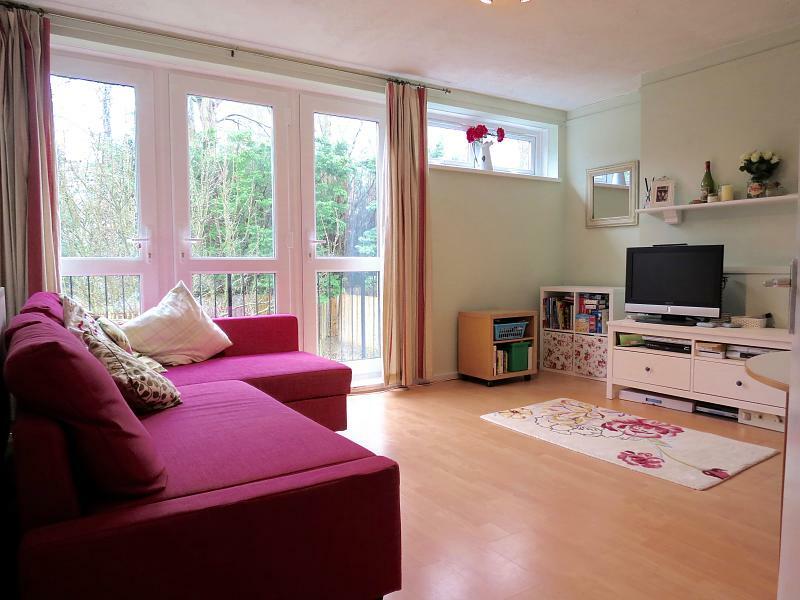 New to the market, this two large double bedroom split level maisonette offers light and space throughout. 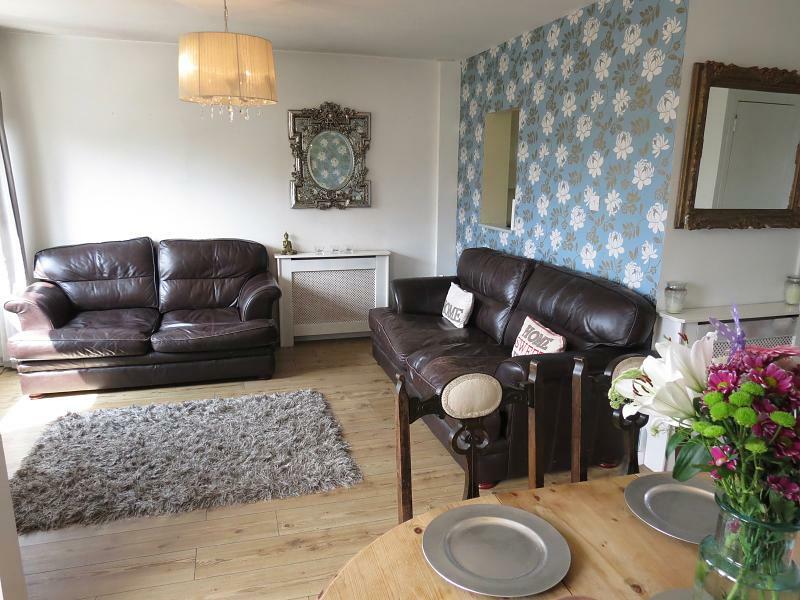 The home offers two spacious bedrooms, large modern family bathroom with stand alone shower, well proportioned fully fitted kitchen with dining area and a separate large reception room. Furthermore the home offers ample storage. This property is conveniently located within easy reach of a 24hr superstore as well as local shops and amenities. The bus stop to take you to Putney and central London is just a short walk away as well as the green open spaces of Wimbledon playing fields and Richmond Park. Timsbury Walk, Roehampton, SW15 4LN. 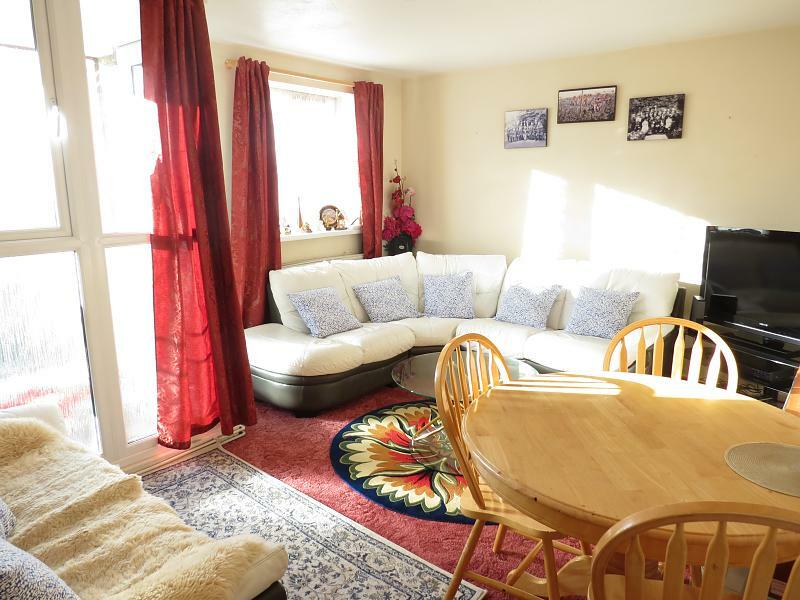 This large two double bedroom split level maisonette boasts of light and space throughout. 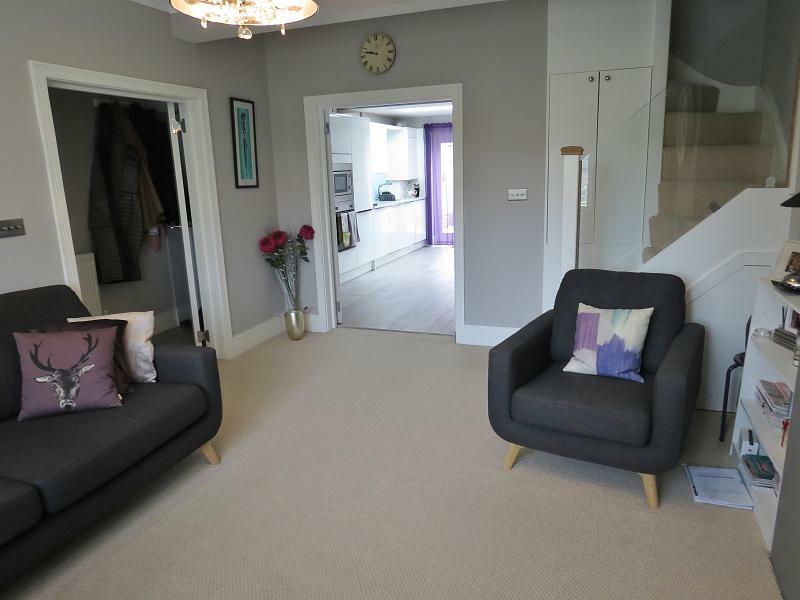 The home offers a spacious lounge with private enclosed balcony, large fully fitted kitchen with dining area, two spacious double bedrooms one with built in wardrobe, family bathroom and has been fully double glazed throughout. 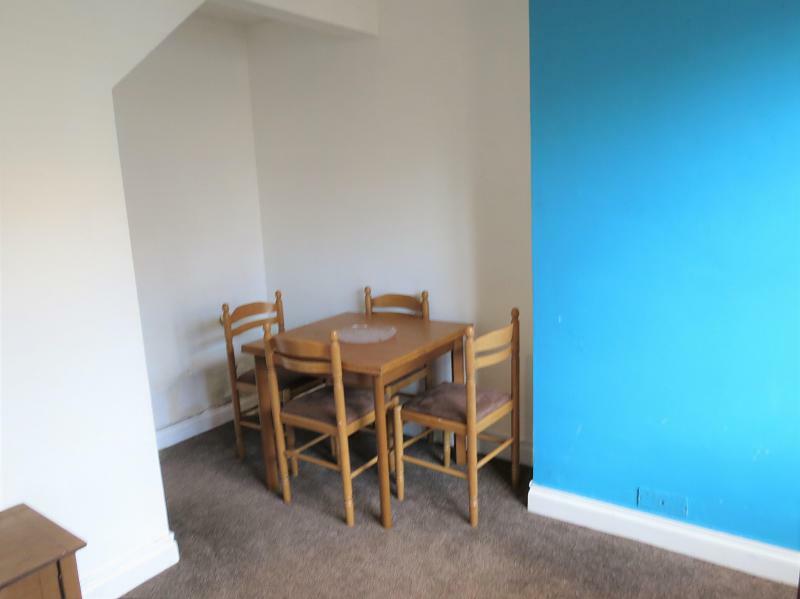 This property is ideal for a rental investment and is within day reach to local buses to take you to Putney and central London. 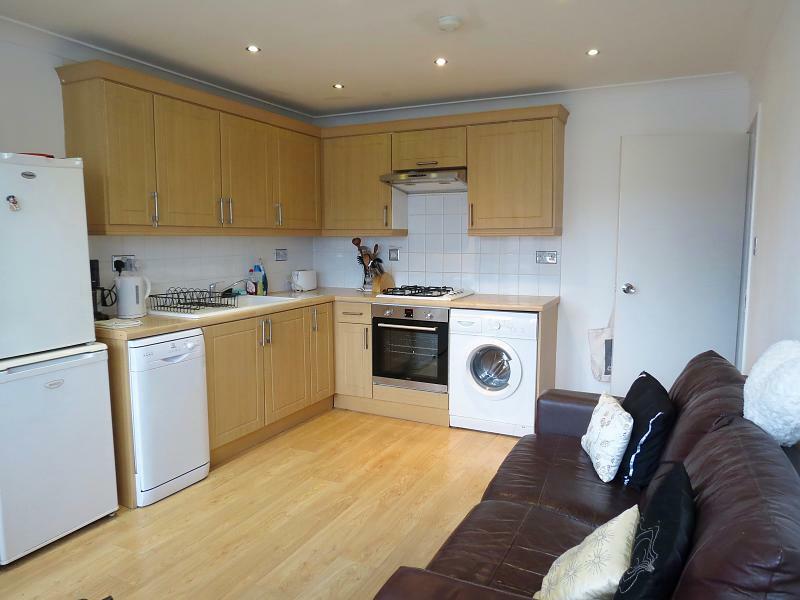 Roehampton University and Richmond Park and the local Pubs and Amenities are also just a short walk away. Tildesley Road, Putney, SW15 3BG. 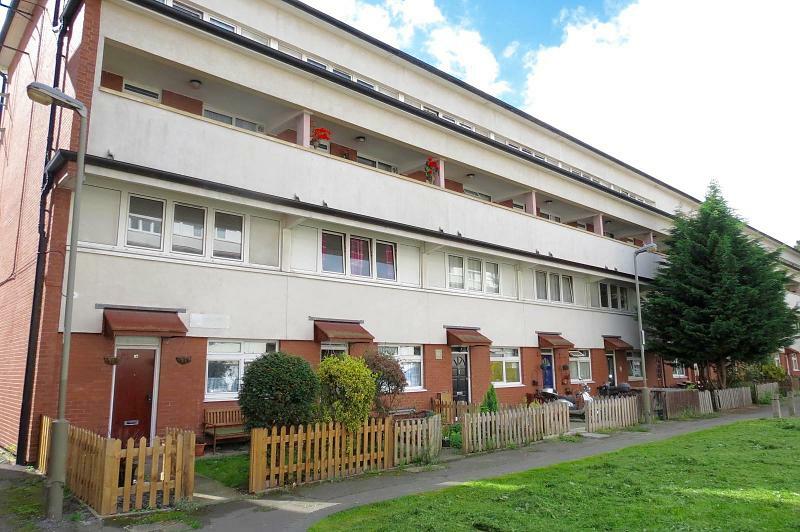 We are delighted to offer this well presented two double bedroom split level maisonette to the market. 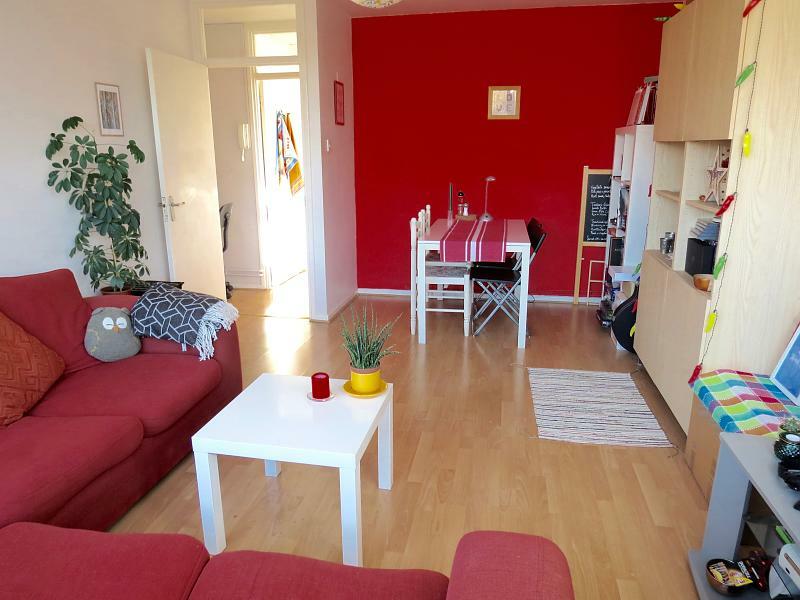 The property boasts of light and space and comprises two double bedrooms, family bathroom, separate W.C, large fully fitted kitchen and spacious separate living room. 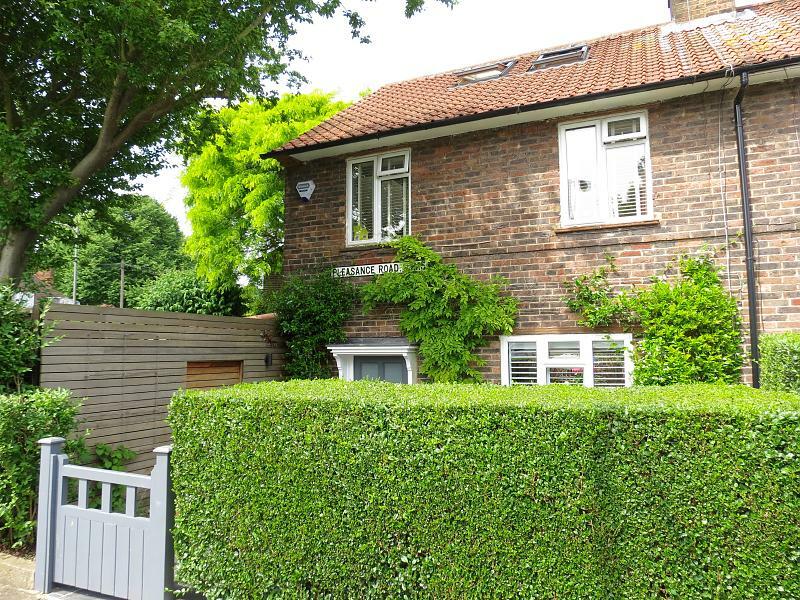 The property has a quaint treelined view and is located just off the Putney Heath ideal for dog walking and family strolls. Richmond Park is also within walking distance. Putney High Street, Tube and Mainline Station are within easy reach as well as the Shops and Amenities and local buses are just moments away. Stroud Crescent, Putney Vale, SW15 3EJ. 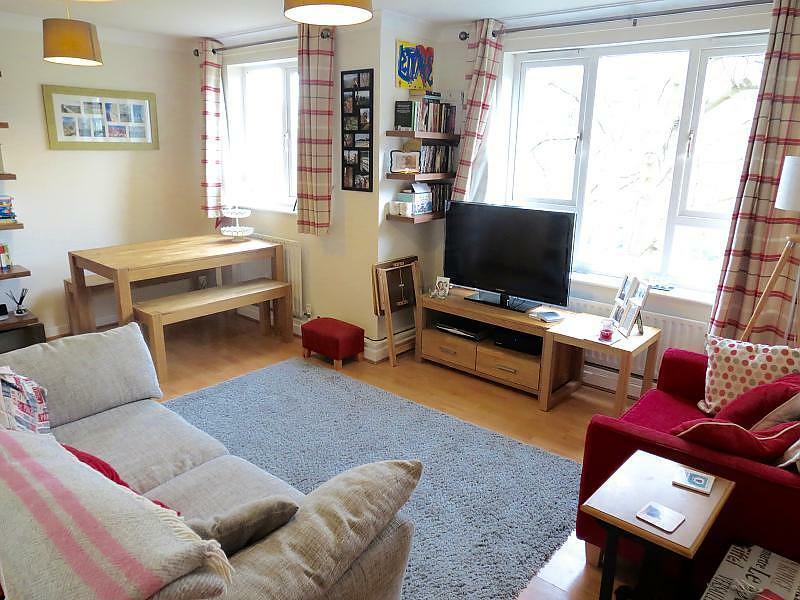 (NEW TO THE MARKET) We are delighted to offer this three bedroom split level maisonette to the market. 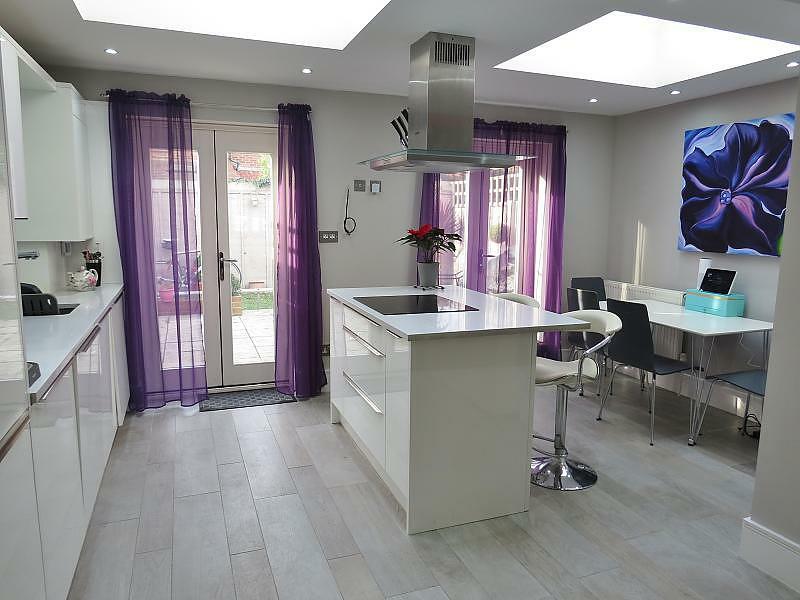 This property boasts of light and space throughout and is located in the Putney Vale development close to Wimbledon playing fields and a 24hr megastore. There is a very popular private school called Hall School Wimbledon just a stones throw away, shops and amenities and the local buses to take you to Putney High Street, train stations and beyond. 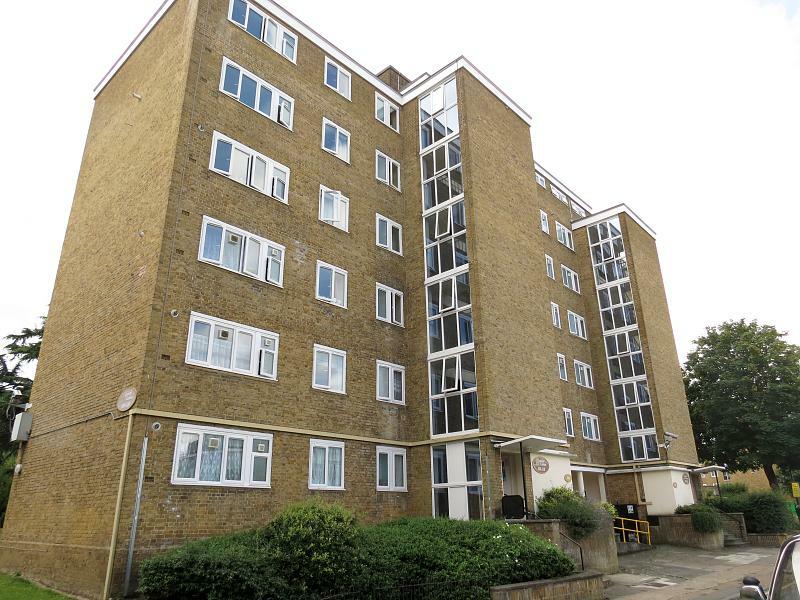 Grateley House, Dilton Gardens, London, SW15 4AS. 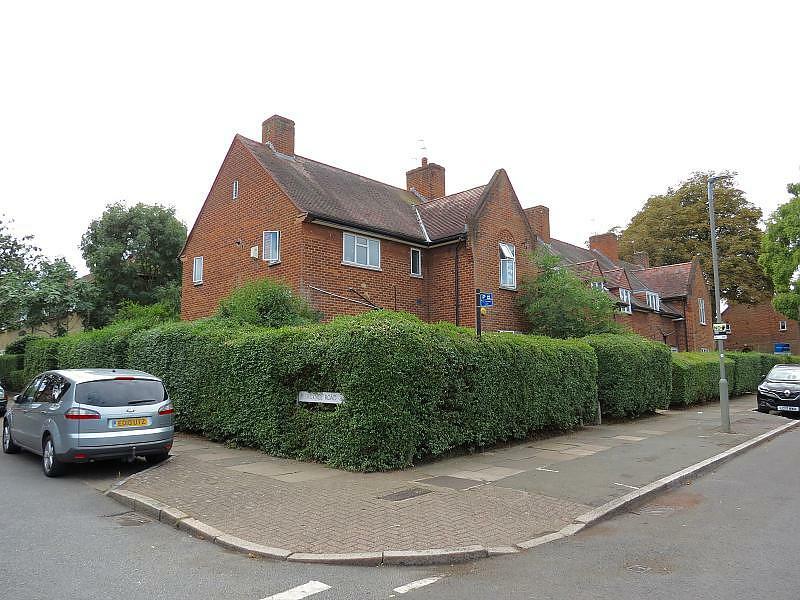 Frensham Drive, Putney Vale, SW15 3EE. 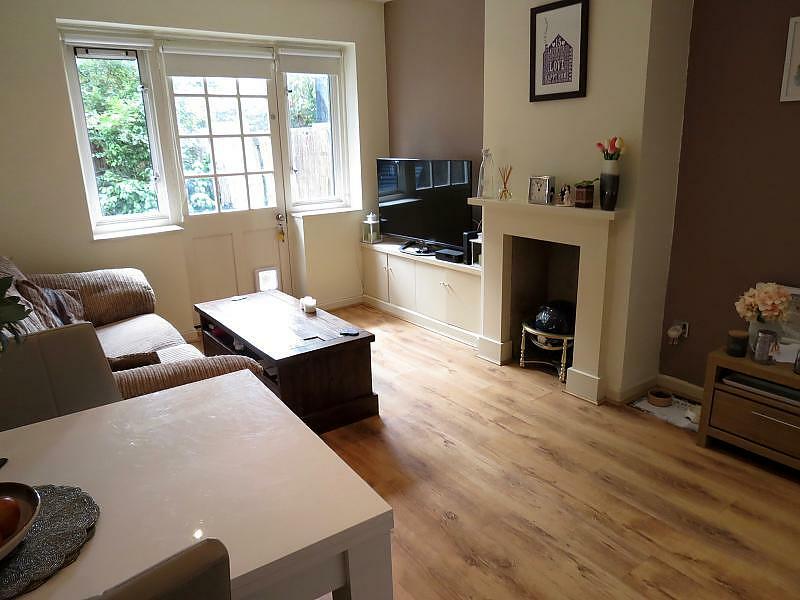 This beautifully presented three bedroom split level maisonette offers light and space throughout and has recently been refurbished. 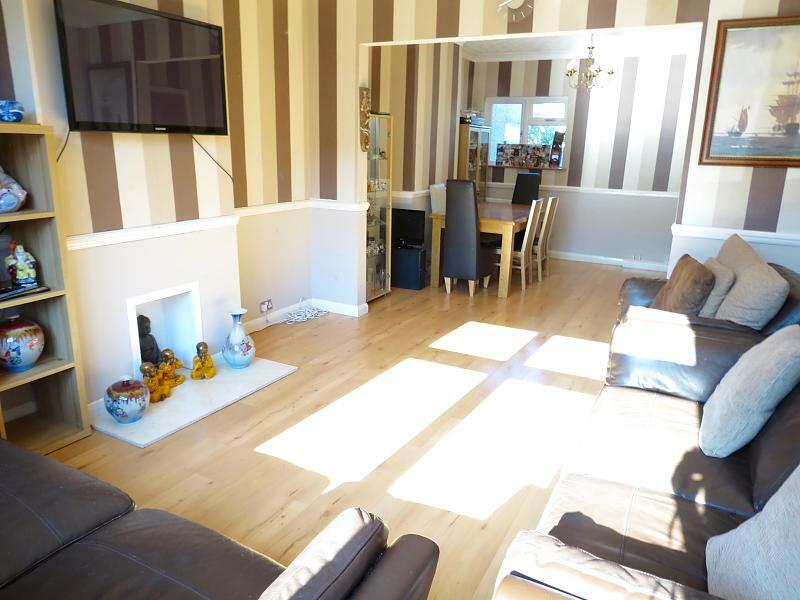 The home comprises three double bedrooms, family bathrooms, separate W.C, large fully fitted kitchen dining room, spacious living room and private rear garden. 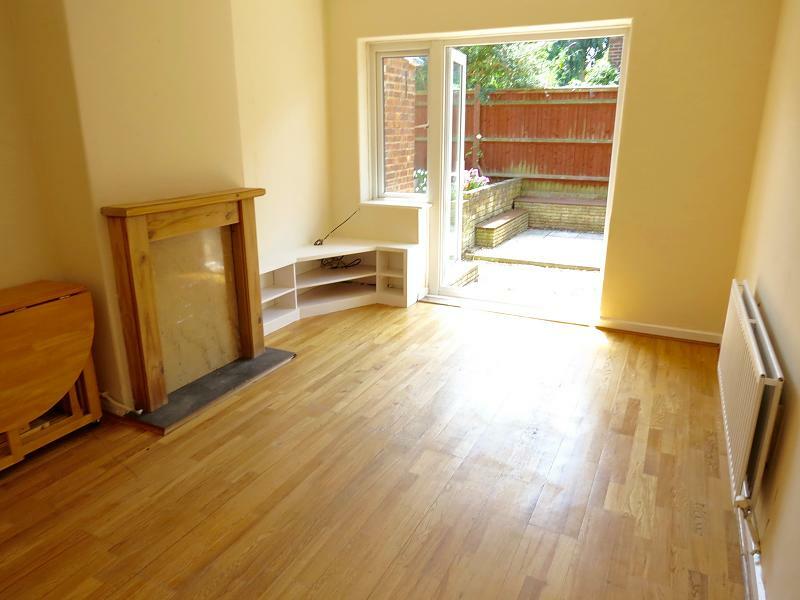 The property also has ample storage and has been double glazed throughout. Conveniently located close to a 24 hour superstore, local shops, Wimbledon playing fields, Richmond Park and buses to take you to Putney and beyond. Frensham Drive, Putney, SW15 3EE. 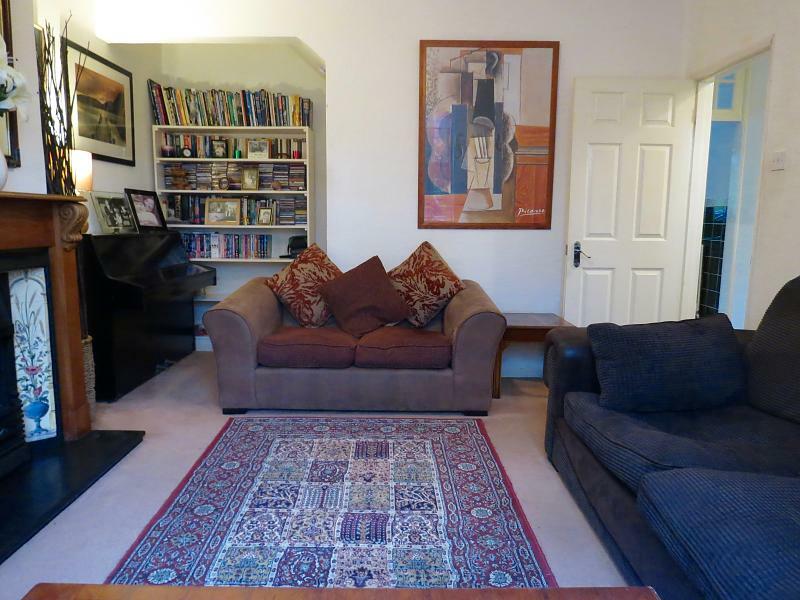 We are delighted to offer this spacious three bedroom split level maisonette to the market. 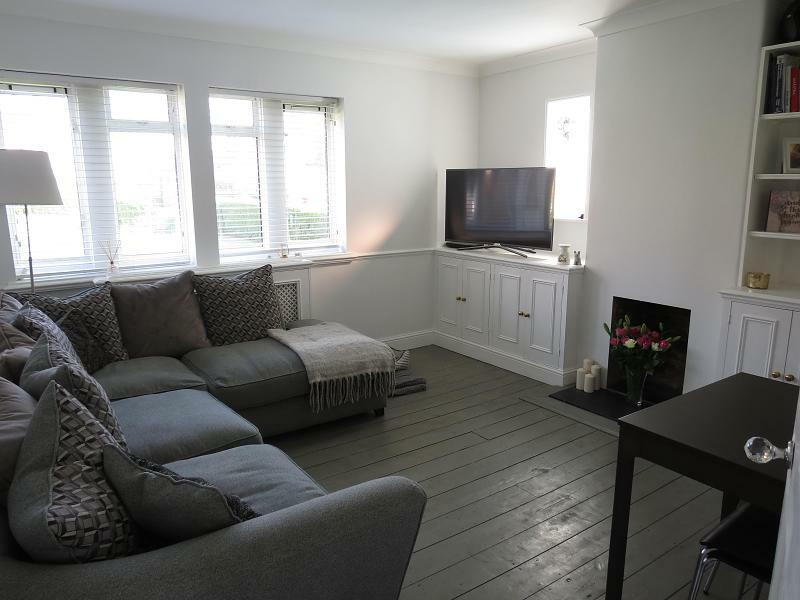 The property has been newly refurbished throughout and comprises three bedrooms, family shower room, separate W.C, large kitchen dining room, spacious living room leading onto its very own private patio garden. The property is well located within easy reach of a 24hr Super market, local amenities, and buses into Putney and central London. Wimbledon playing fields are also just a short walk away. Arabella Drive, London, SW15 5LG. Arabella Drive, Putney, SW15 5LQ. Timsbury Walk, Roehampton, London, SW15 4LN. *** NEW TO THE MARKET CASH BUYERS ONLY *** Ideal Investment property. 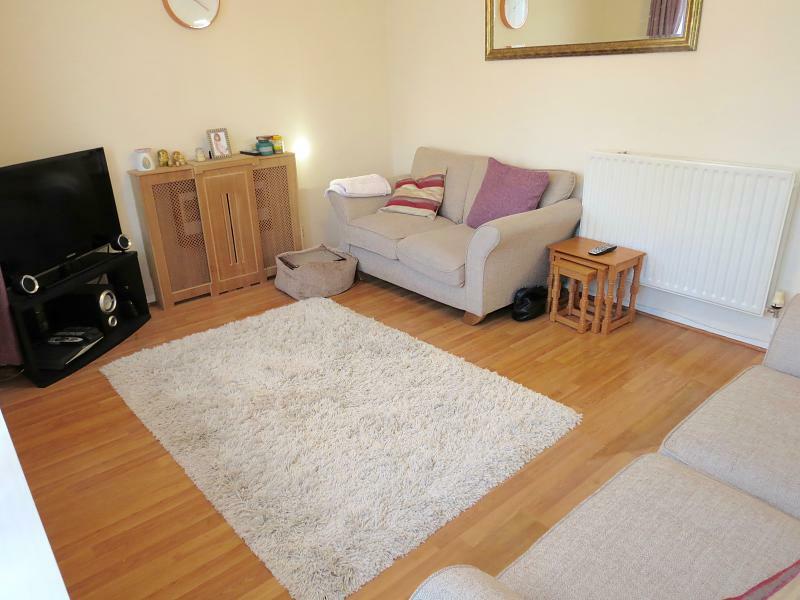 This very well presented split level maisonette with private garden, the property comprises of three double bedrooms and two generous single bedrooms, openplan reception/kitchen room, downstairs WC, upstairs bathroom. 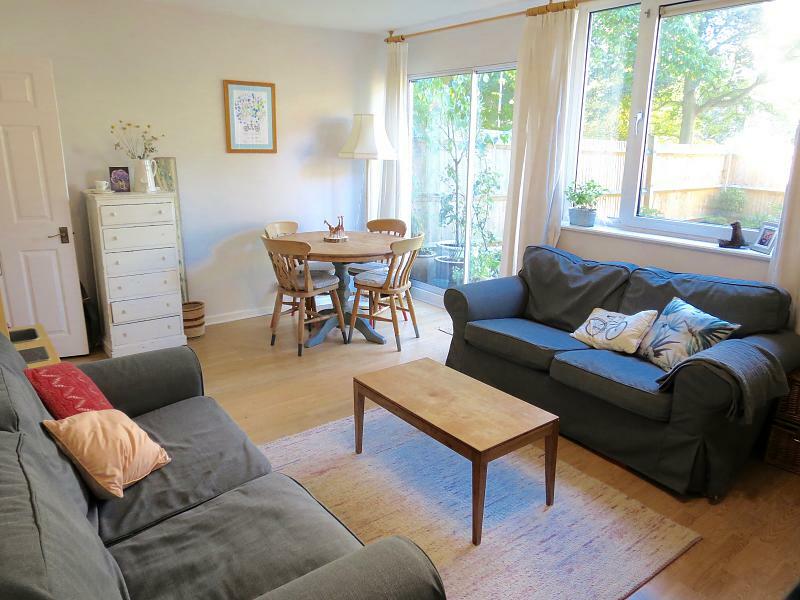 Well located for Bus links to Central Putney, Hammersmith and Kingston, surrounded by the wide open Green areas of Richmond Park, Wimbledon Common and Putney Heath. Dover House Road, Putney, SW15 5AR. 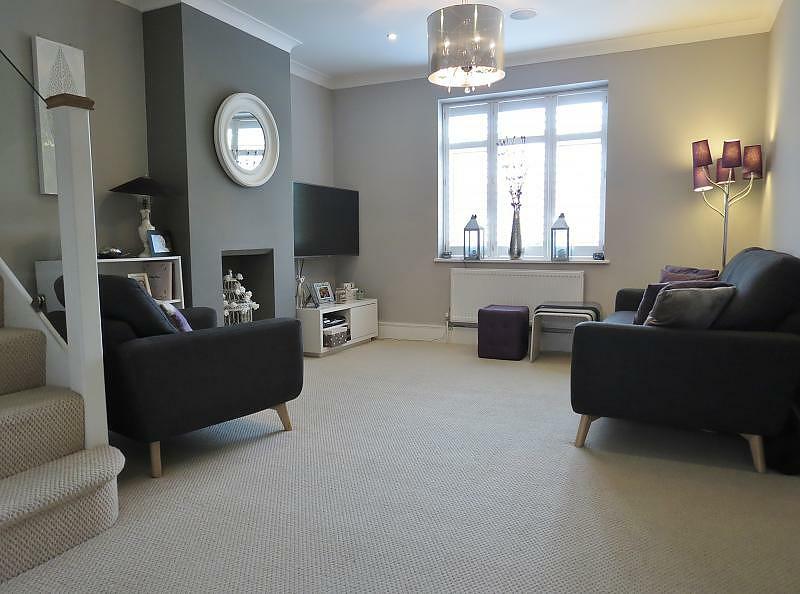 We are delighted to offer this well presented one double bedroom apartment situated on the ground floor within the ever popular Dover House Conservation area. 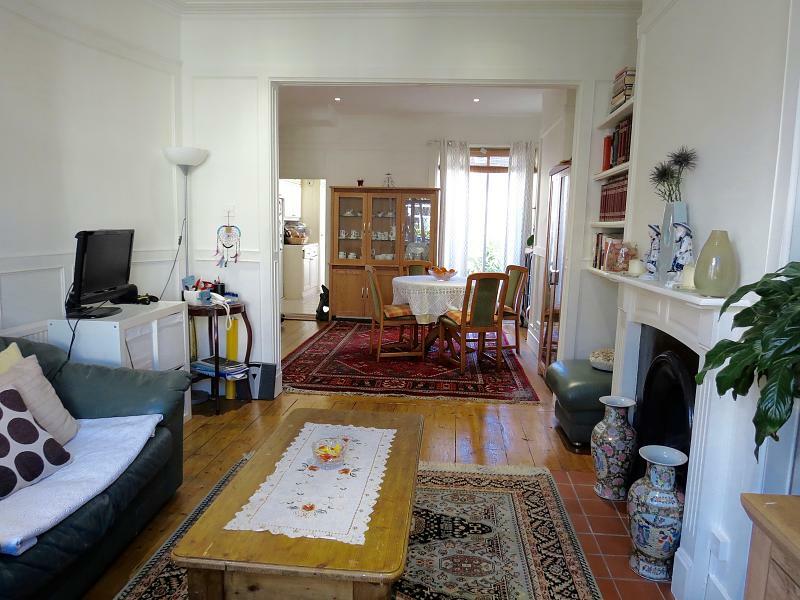 The property boasts of light and space and is well proportioned throughout. 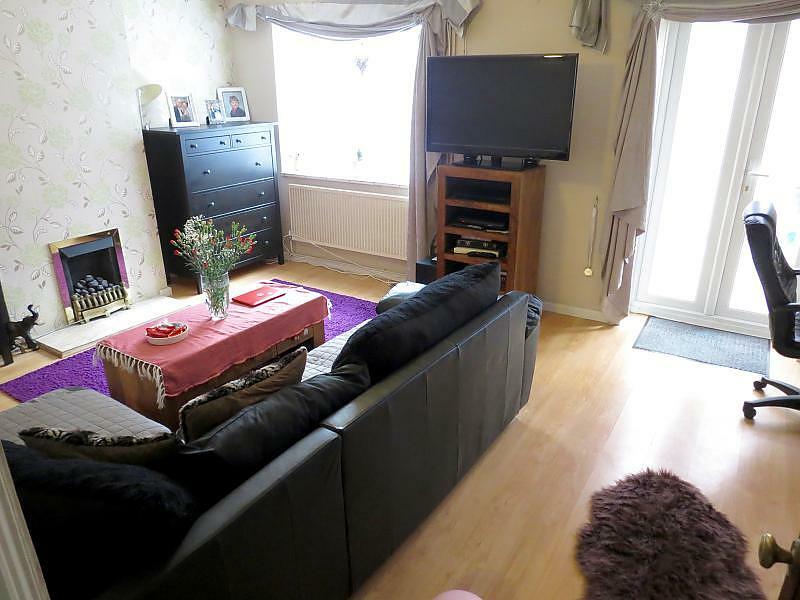 The home comprises a large light double bedroom with high ceilings, good sized bathroom with separate W.C, large fully fitted kitchen with breakfast bar, spacious living room with feature fireplace and a private rear garden with shed. There is also a large storage cupboard from the hall. 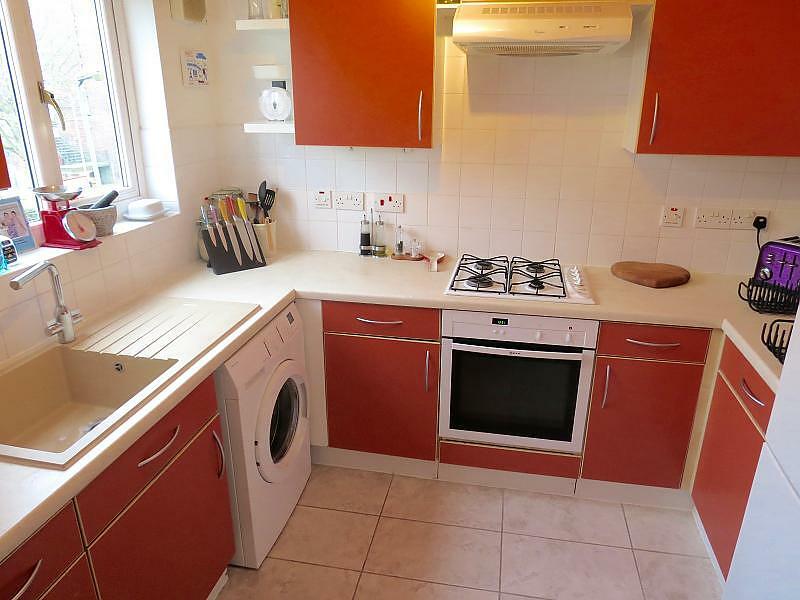 This property is ideal for a buy to let investment or first time buyer and also benefits from a bus stop just seconds away to take you into Putney High street and beyond. 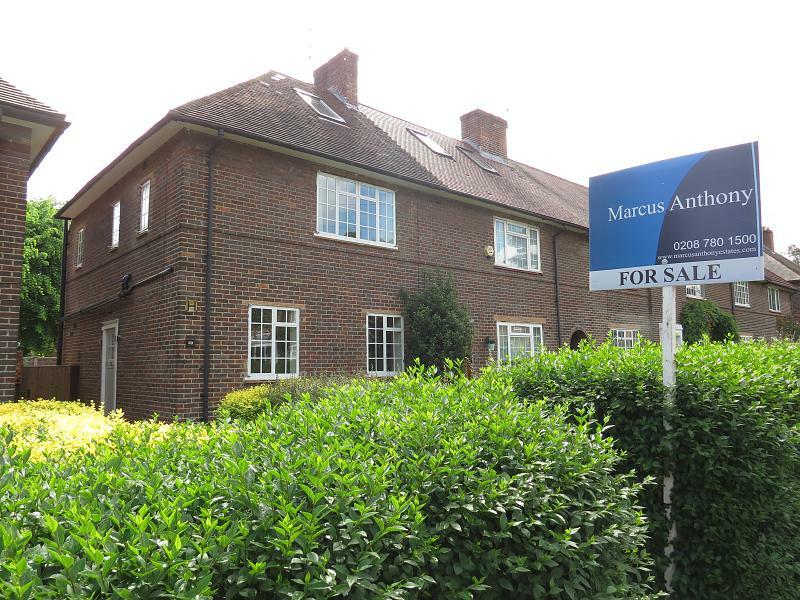 Barnes Mainline Station, Richmond Park and the local amenities are also just a short walk away. Tildesley Road, Putney, SW15 3AU. 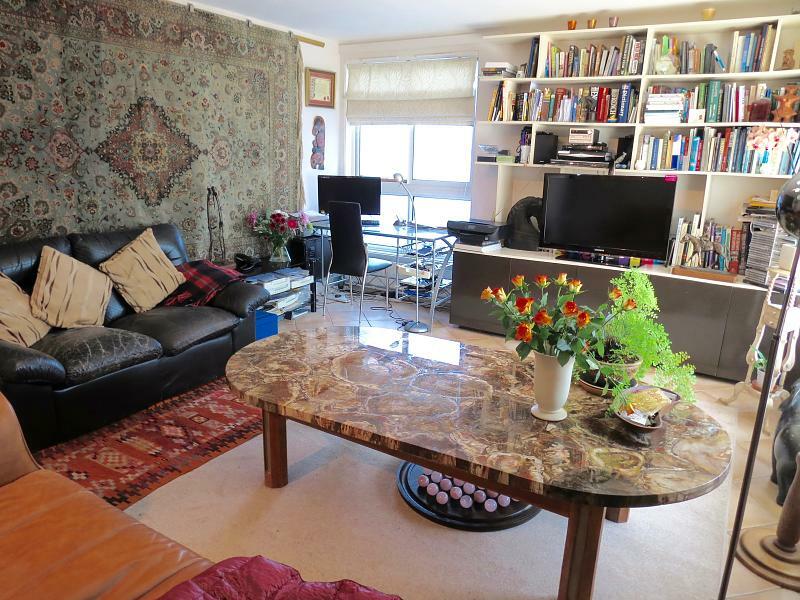 We are delighted to offer this well presented three bedroom 5th floor apartment situated just moments from Putney Heath. 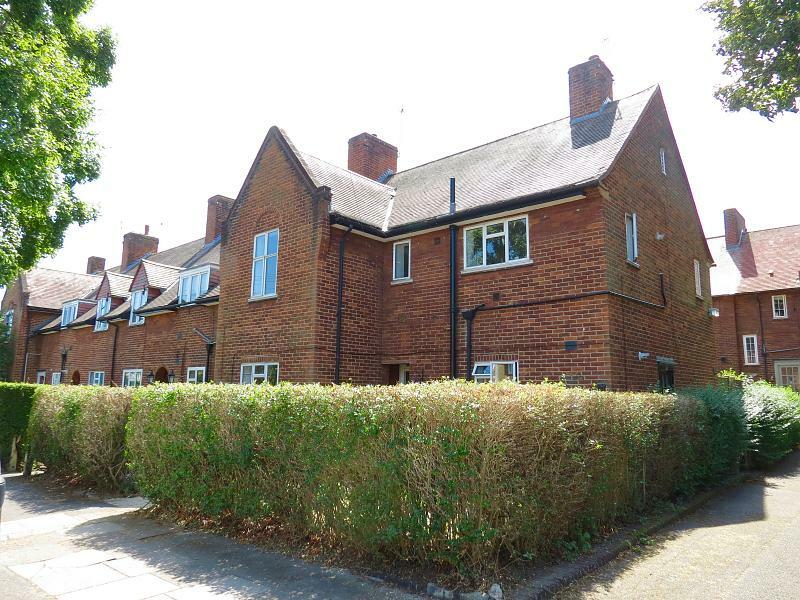 The property comprises three double bedrooms, two shower rooms with W.C, large open plan kitchen living room area leading on to a private balcony over looking the communal green. 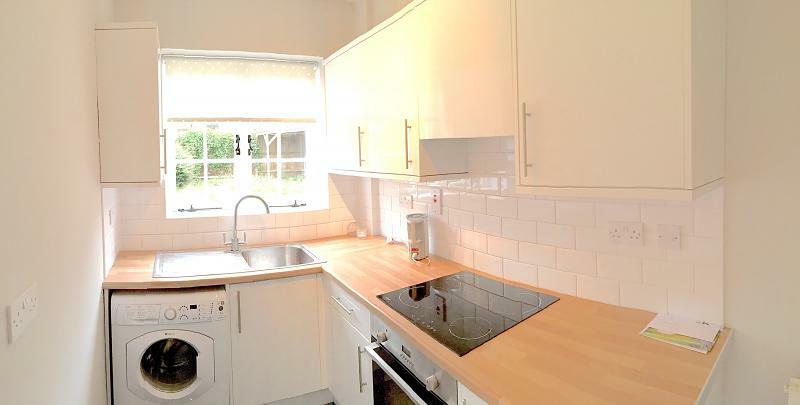 The home has been double glazed throughout and is ideal for a rental investment or a first time buyer. 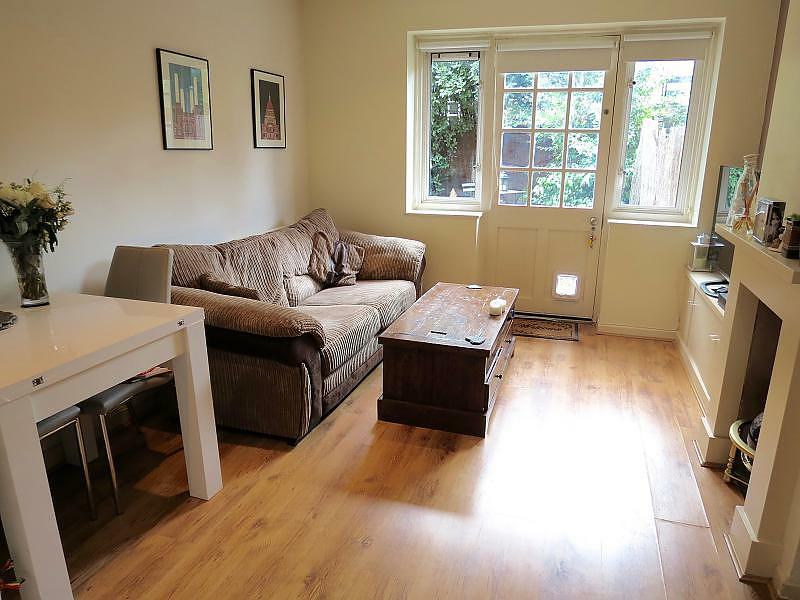 This property is conveniently located within walking distance to local buses to Putney and beyond. Richmond Park and the shops and amenities are just a short walk away. This stunning ground floor maisonette is located within the ever popular Dover house conservation area, set back off a quaint treelined communal green. 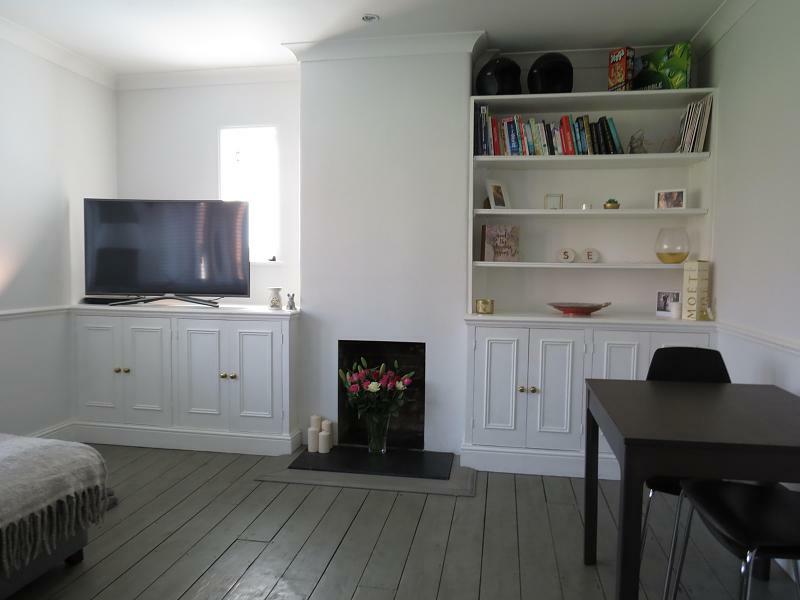 The property has been fully refurbished to a high specification, offering high ceilings and period features throughout as well as original wood floors. Comprising a spacious double bedroom with feature fire place, modern tiled bespoke bathroom with heated towel rail, bath and overhead shower. 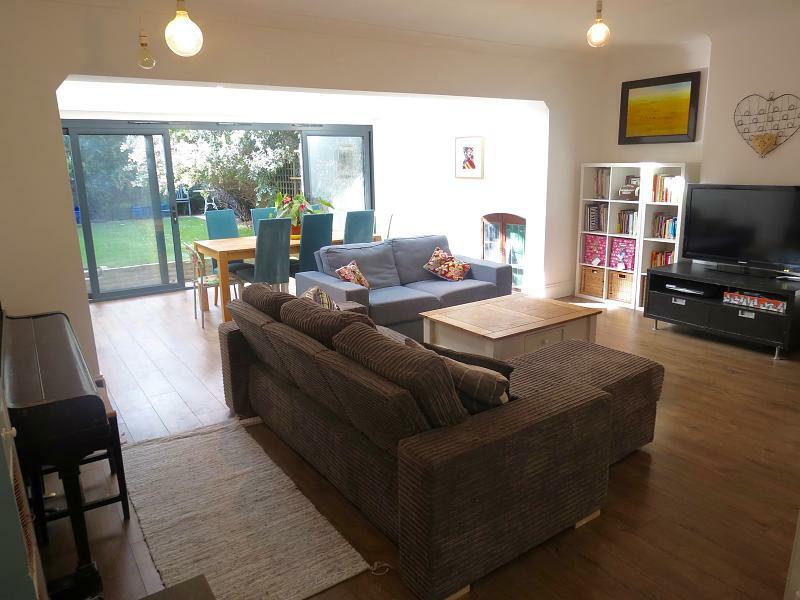 The living space is bright airy and spacious with fireplace and built in storage as well as large additional storage in the hall, modern fully fitted kitchen leading onto a large private rear garden. 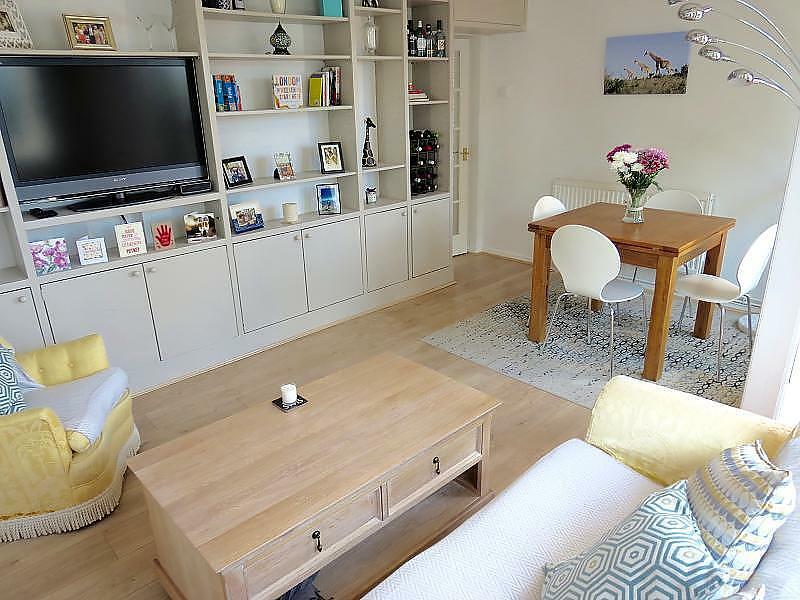 Buses to Putney are a stones throw, the local shops, amenities, Barnes mainline station as well as the green open spaces of Putney Heath and Richmond park are a short walk away. 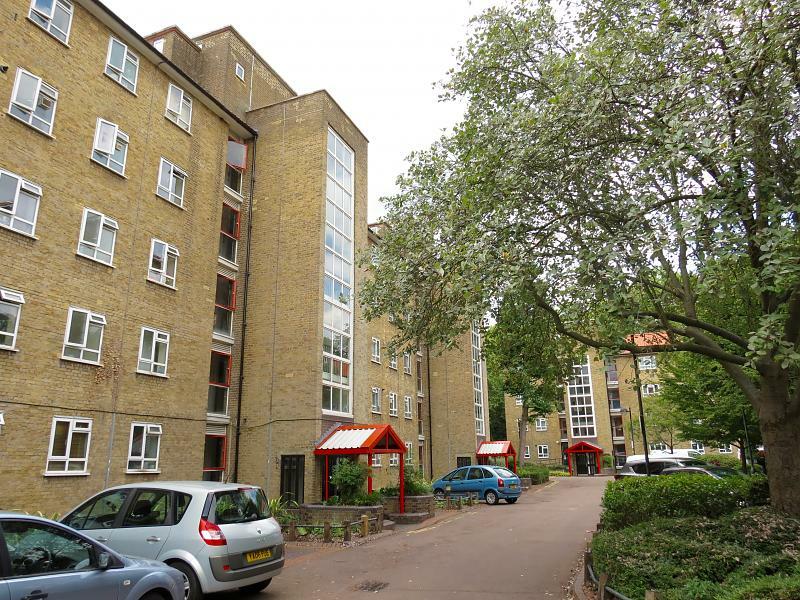 Innes Gardens, Putney, SW15 3AB. 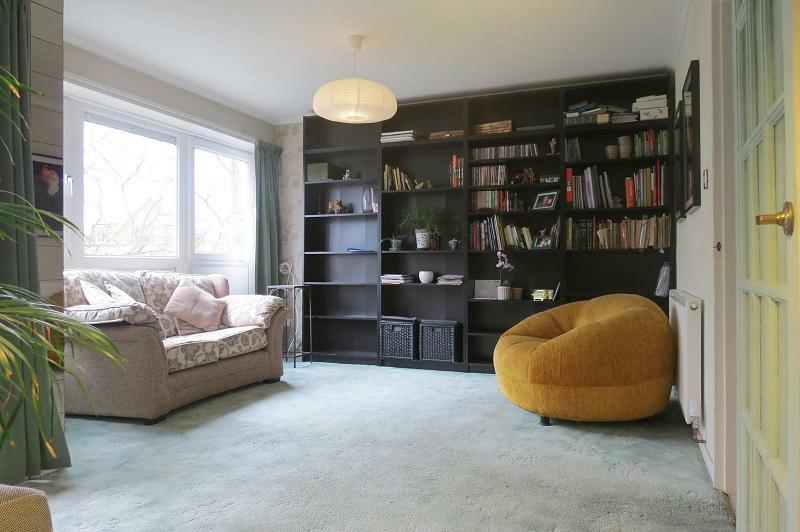 (Available Immediately) This well presented apartment comprises three double bedrooms, large bright lounge with bespoke fitted bookcase/storage cabinet and access to a private balcony overlooking the communal garden. 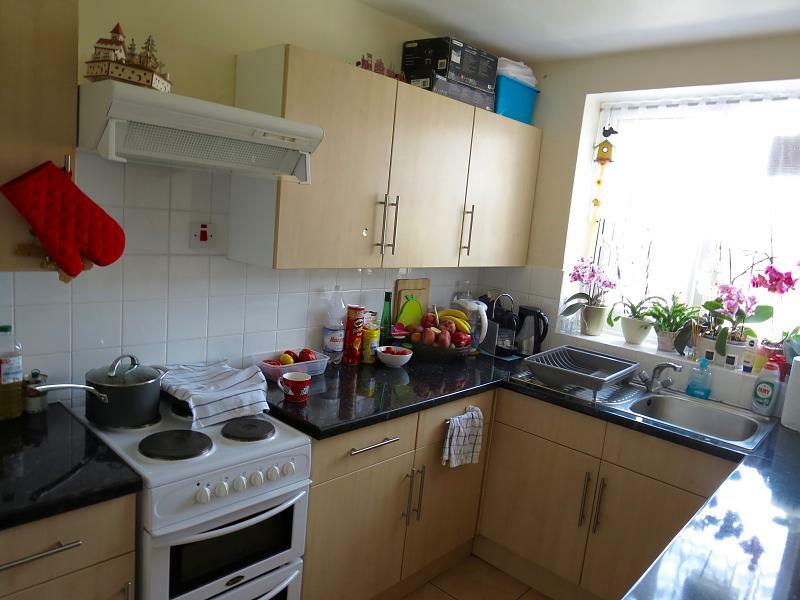 Fully fitted kitchen with dishwasher, family bathroom and separate WC. The flat has recently had new double glazing and wood flooring. Located a stones throw from picturesque Putney Heath and Putney High Street, Tube and Mainline stations are also within walking distance. 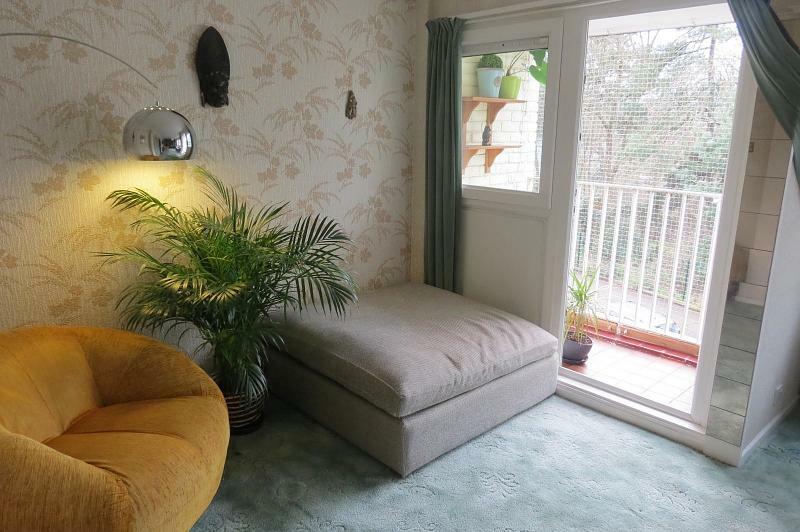 Furnishings for the flat are flexible. Early viewing is recommended. 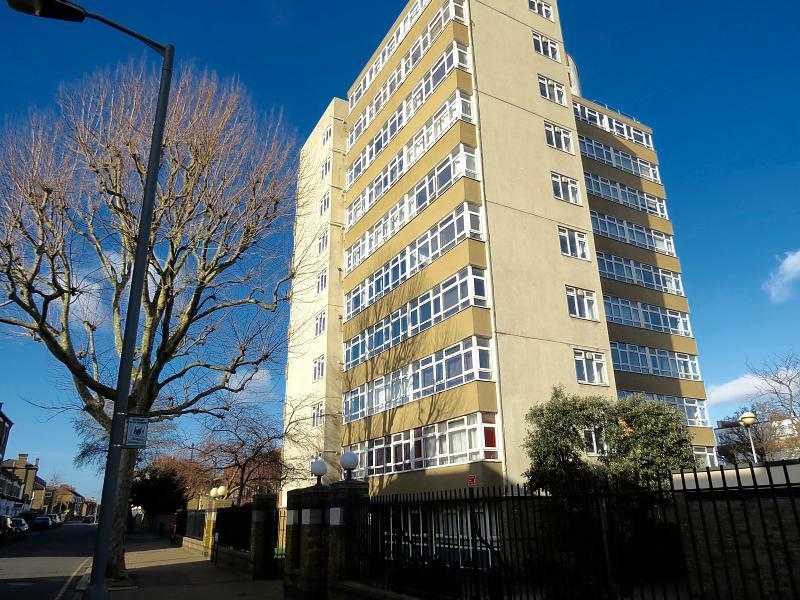 Flat Ramsey Court, Cortis Road, Putney, SW15 3AX. 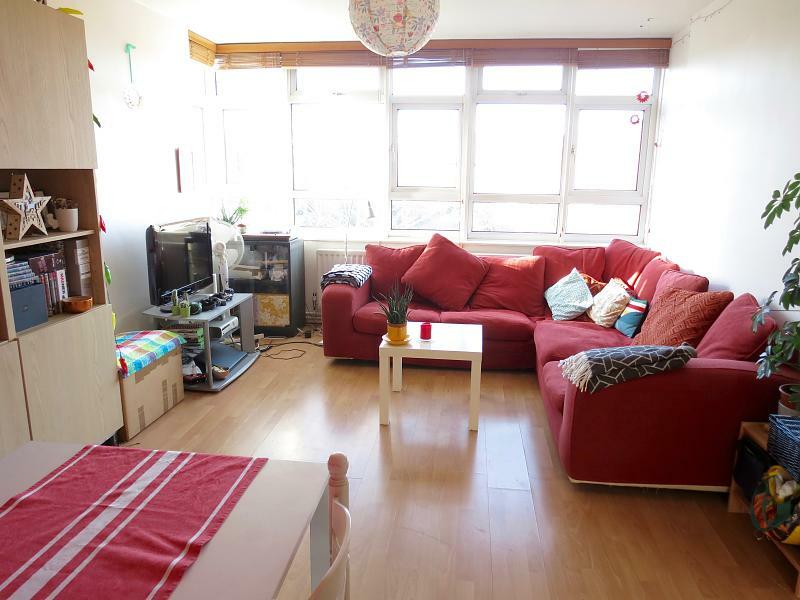 We are delighted to offer this modern two double bedroom apartment located 0.84 miles from East Putney tube. 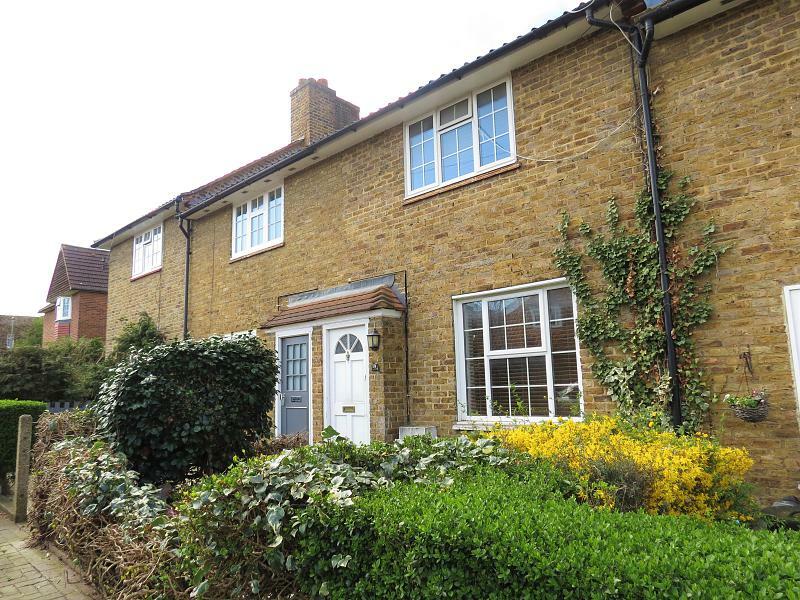 The home is just moments away from Putney Heath and also within walking distance to Richmond Park. 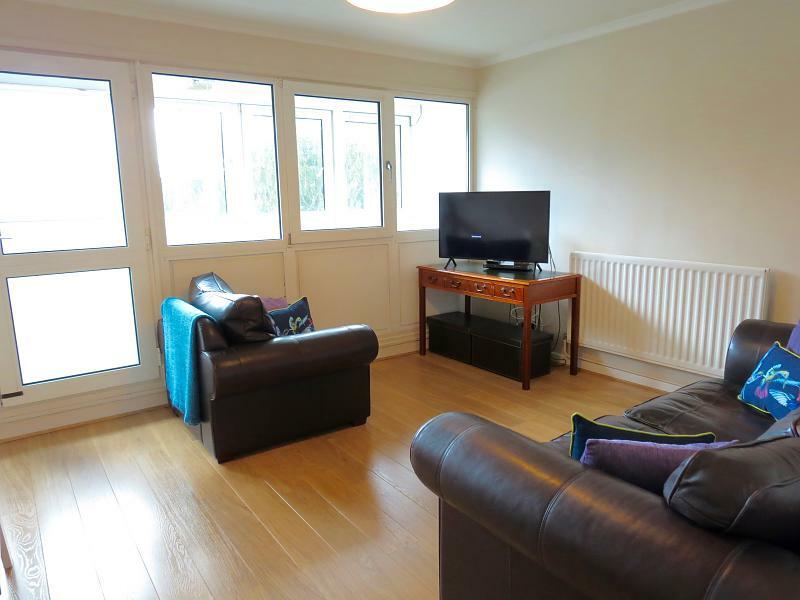 The property is double glazed throughout and comprises to spacious double bedrooms, a roomy fully fitted kitchen, large reception room with dining area, spacious hallway with wooden floors and storage cupboards and family sized bathroom. 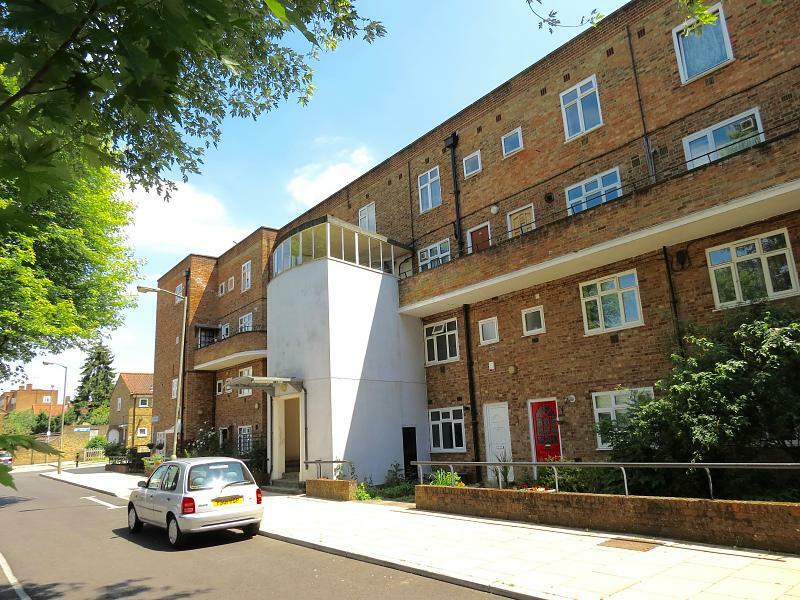 This lovely apartment is situated on the first floor and benefits from a communal garden and private parking space. 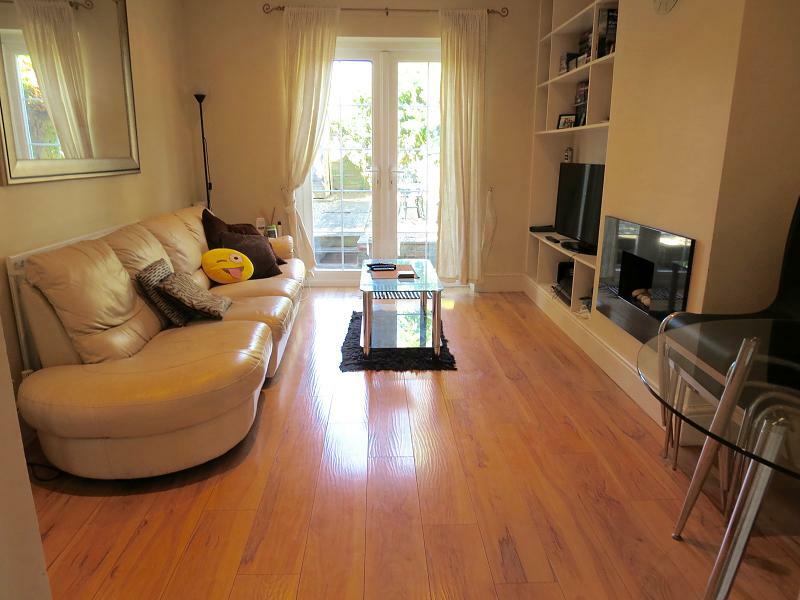 Putney High Street, local buses shops and amenities are also just a short walk away. Innes Gardens, Putney, SW15 3AD. 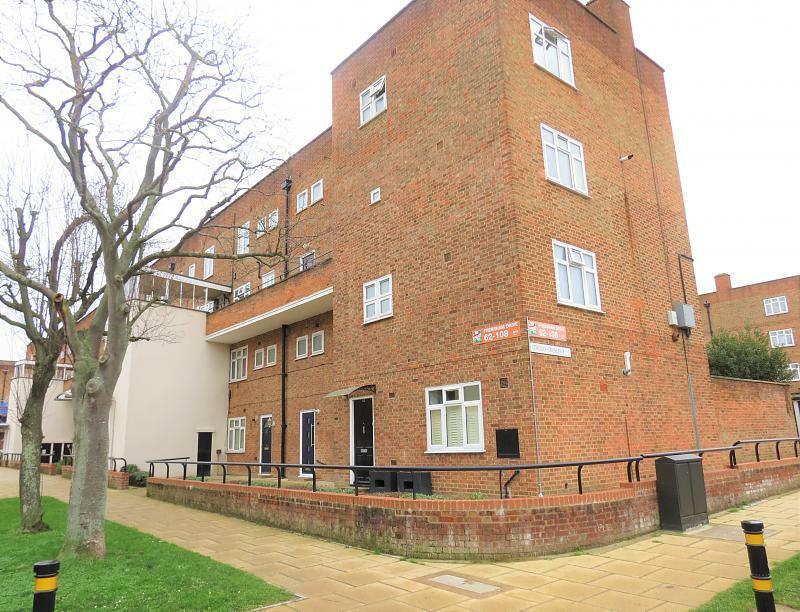 (CHAIN FREE) We are delighted to offer this well presented three bedroomed apartment boasting of light and space throughout. 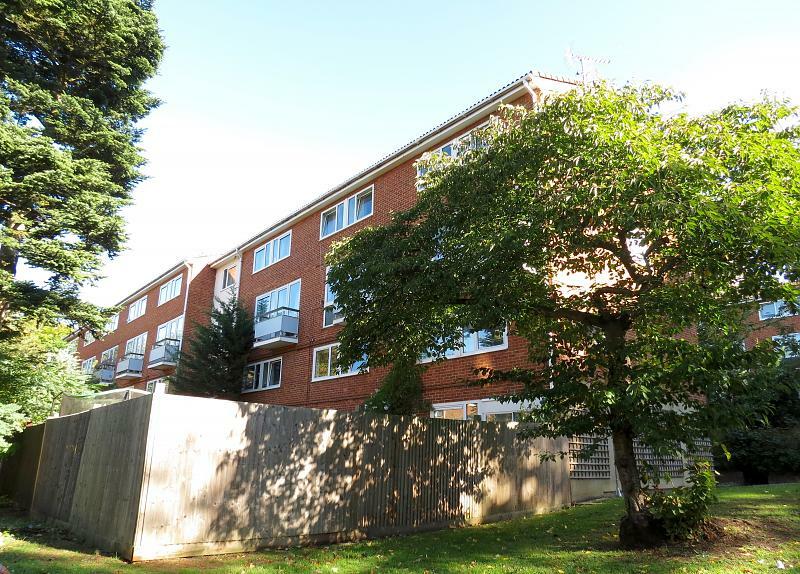 The property is on the upper floors of this purpose built apartment block situated just off Putney Heath with local buses and amenities just a short walk away. 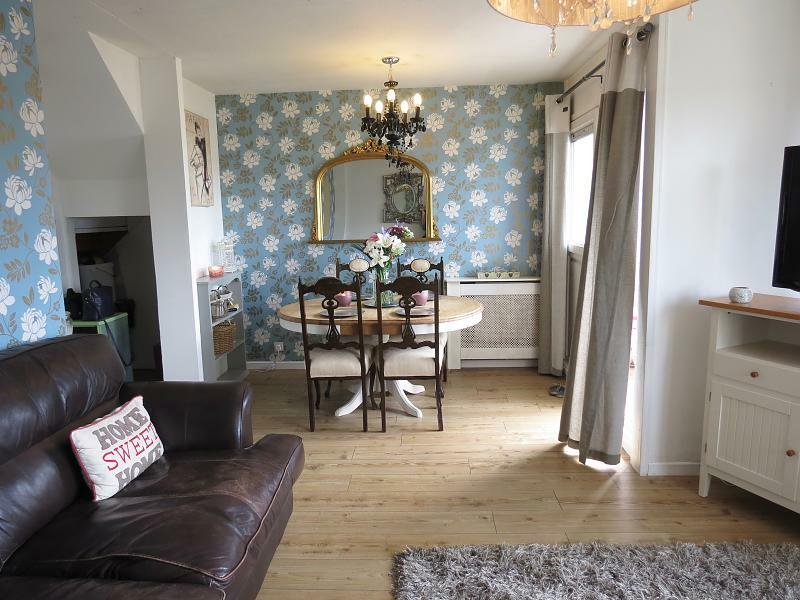 The home offers three good sized bedrooms all of which fit a double bed, a family bathroom, family fully fitted kitchen, separate W.C and a spacious living room with its very own private balcony. Phelps House, Felsham Road, Putney, London, SW15 1DF. 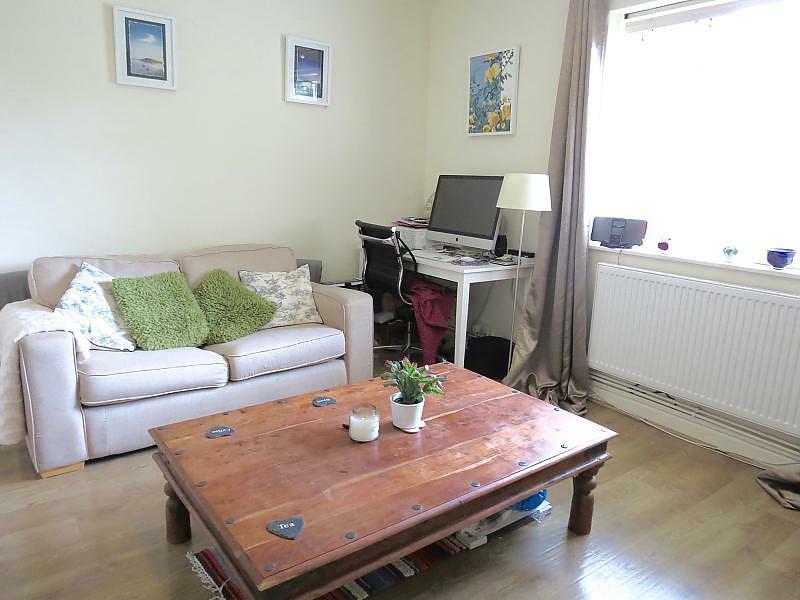 A delightful light and airy two double bedroom flat set on the second floor. 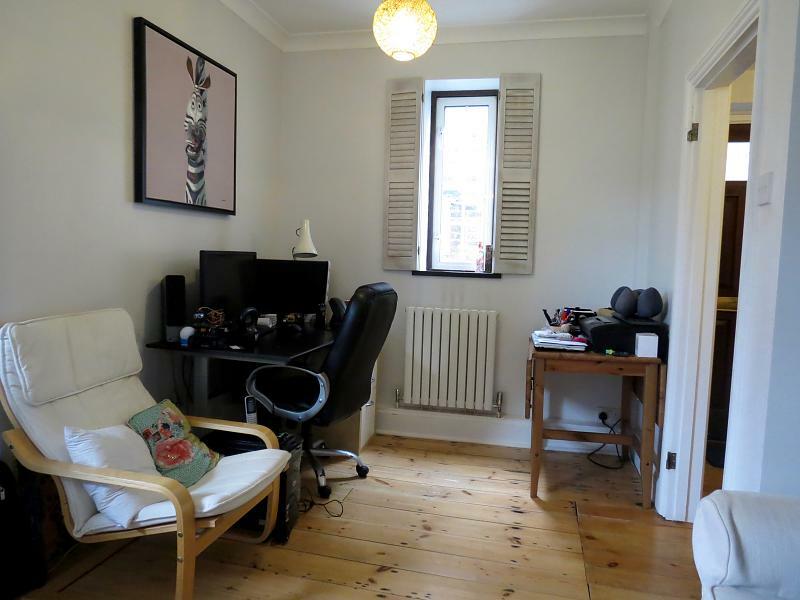 Ideally located, this central Putney flat is just off Putney high street which has a great selection of shops, bars and restaurants and is just a stones throw away from the river. The property is just a few minutes walk from tubes, buses and mainline trains into London and benefits from a selection of exceptional schools close by. The property also offers off street parking. Dover House Road, Putney, SW15 5AU. 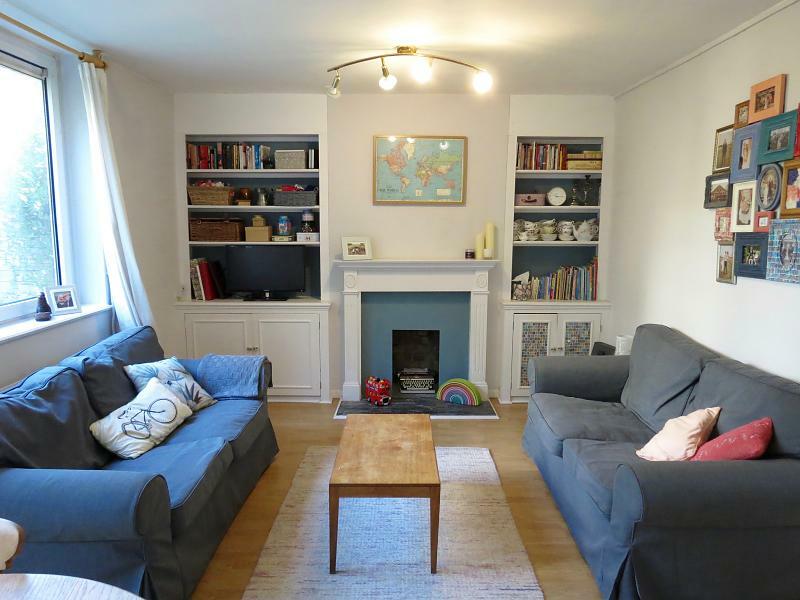 this charming large double maisonette offers light and space throughout and is set within the ever popular Dover House conservation area. 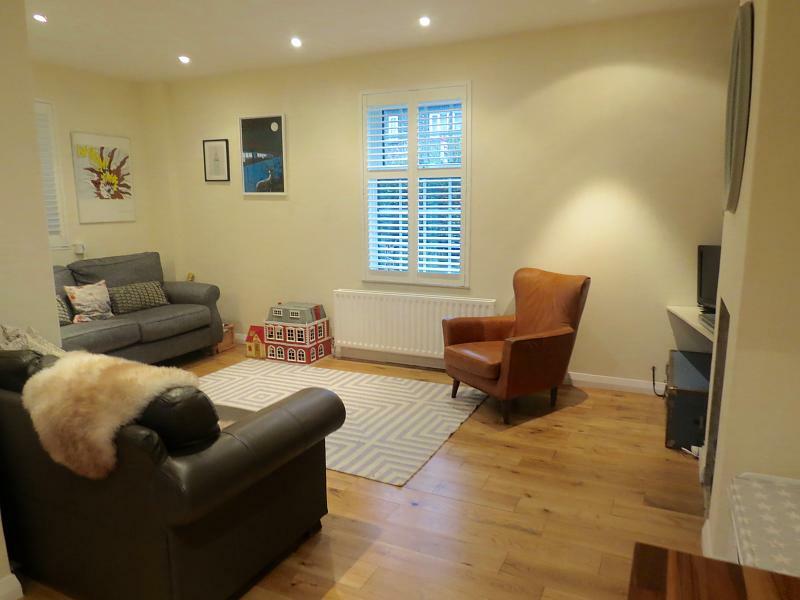 The home comprises a large double bedroom with built in wardrobe, a bespoke fully fitted kitchen, modern bathroom with stand alone shower, separate W.C, large living room with feature fire place and original wood floors, private balcony as well it very own large private garden. 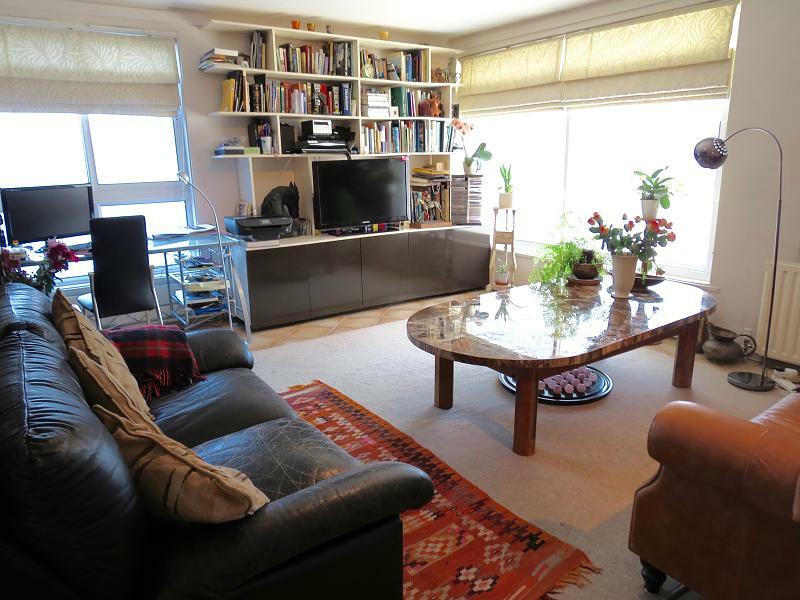 This property has access to a very large loft space for storage. 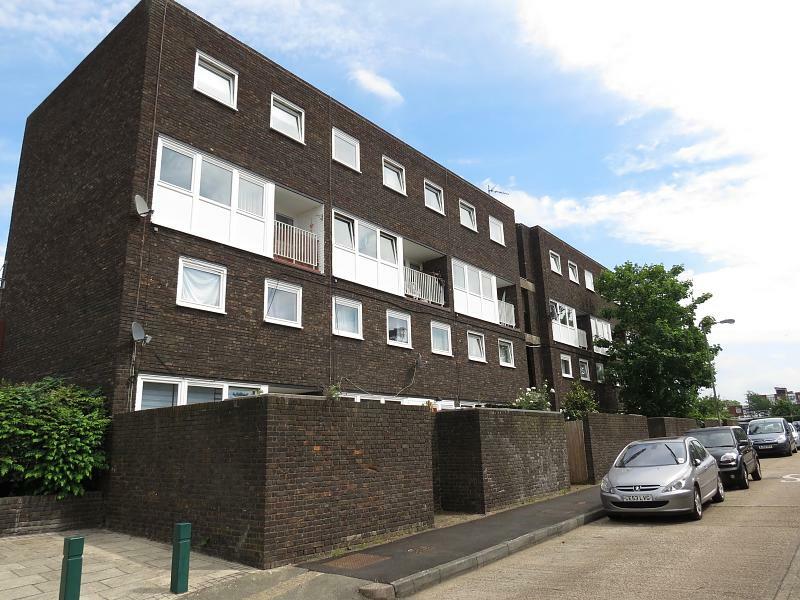 Others have bought separately from Wandsworth to convert and make into a two bedroom (STPP) the property is located conveniently close to the locals shops and amenities as well as the buses into Putney and Barnes mainline station. Putney Heath, Richmond Park and the river are also a short walk away. 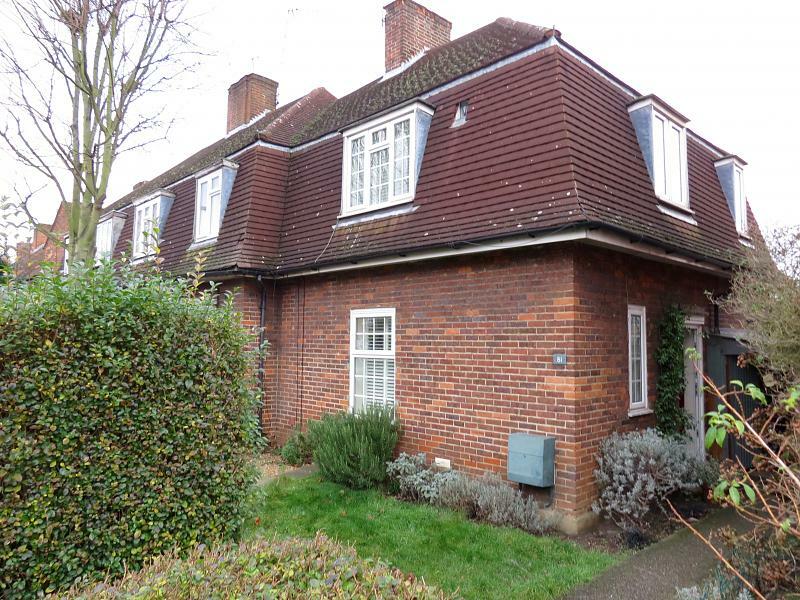 Esher Gardens, Wimbledon, SW19 6BZ. 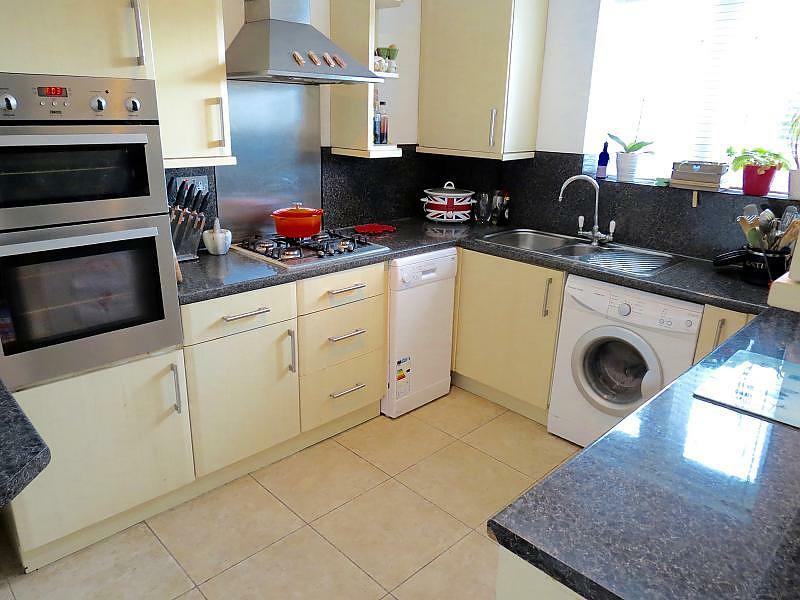 We are delighted to offer this three doubles bedroom third floor apartment to the market. 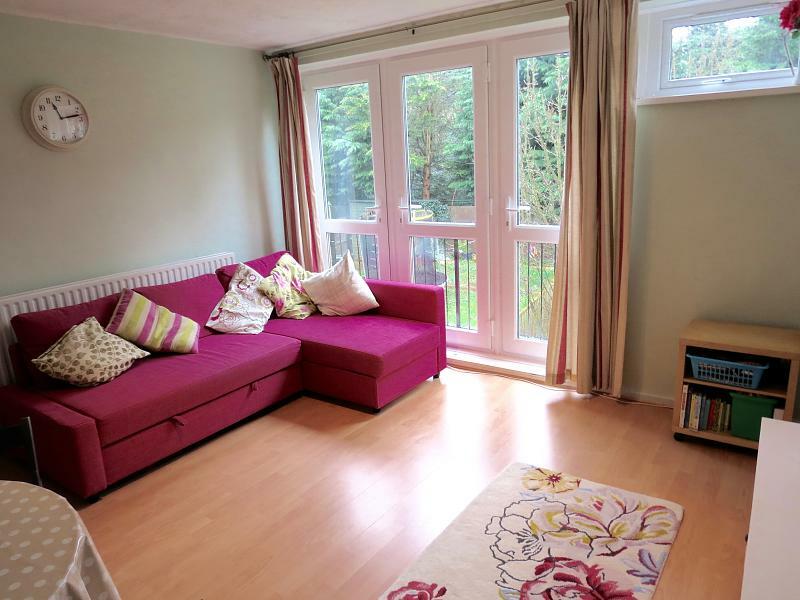 The property boasts of light and space throughout and comprises three double bedrooms, family bathroom, additional separate W.C, large fully fitted kitchen, and a spacious living room with private balcony. 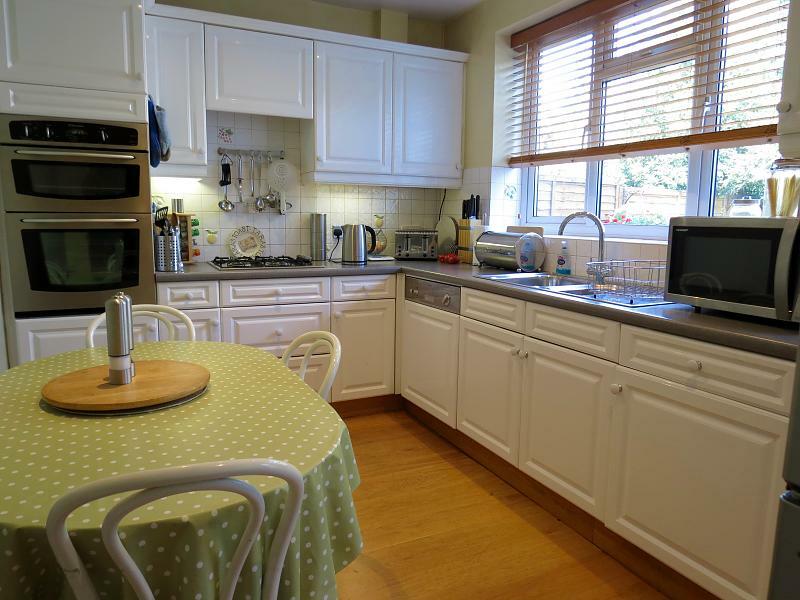 The property is located moments from Wimbledon Common with local buses to Wimbledon Village and Town Centre. Putney mainline and Tube are also close by. Hawkesbury Road, Putney, SW15 5HL. 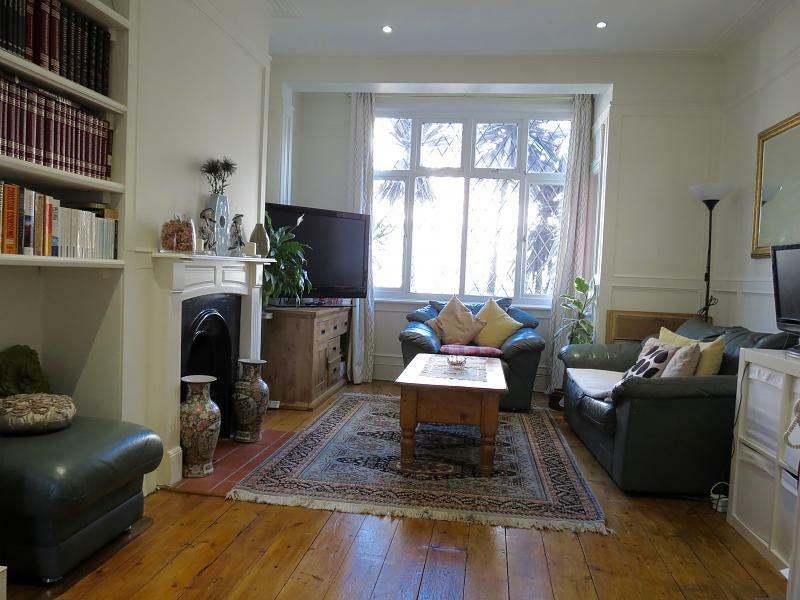 (CHAIN FREE) This two double bedroom apartment is situated on the ground floor within the Dover House Conservation Area. 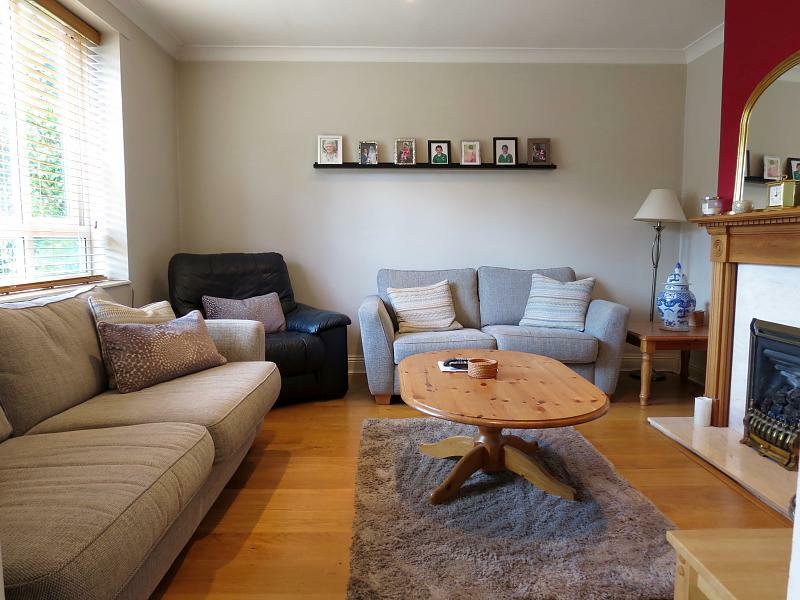 The property comprises two double bedrooms, spacious separate Kitchen, large lounge with feature fireplace, family bathroom with stand alone shower, and private front and rear patio garden. 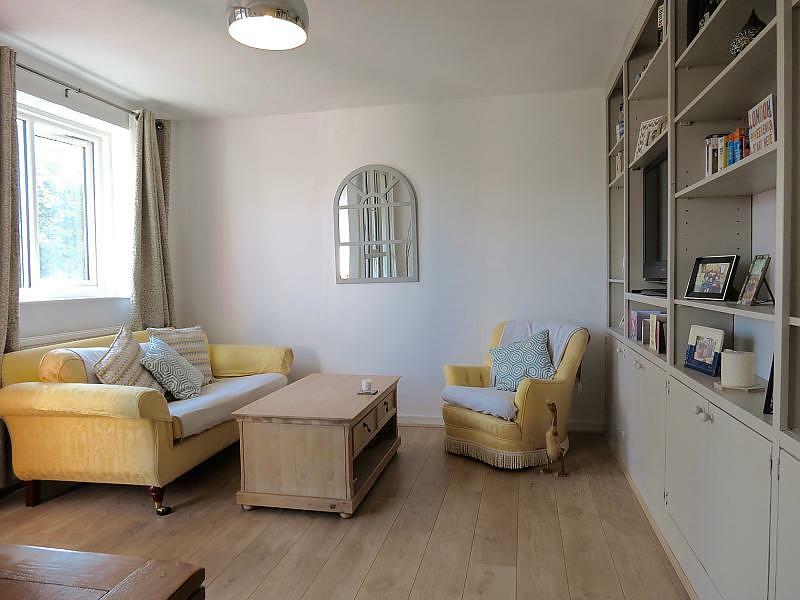 This charming apartment boasts of light and space throughout and offers real potential for a first time buyer or investor to put their own stamp on. Barnes Station, and the local shops and amenities are just moments away as well the green open spaces of Putney Heath and Richmond Park. Warnham House, Brixton Hill, SW2 2SA. **** INESTORS ONLY **** This three bedroom split level property is in need of complete modernisation throughout and is sold with tenants. 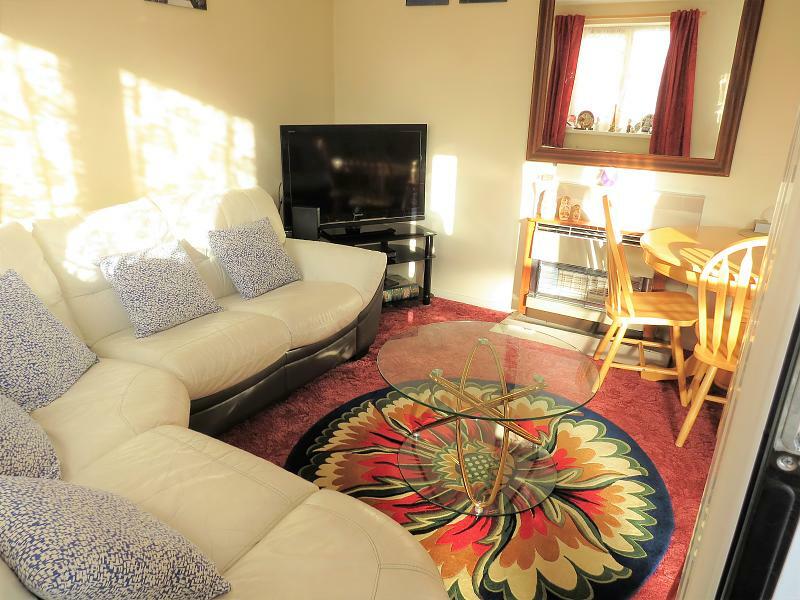 The property offers three bedrooms, kitchen, lounge and separate bathroom and WC. 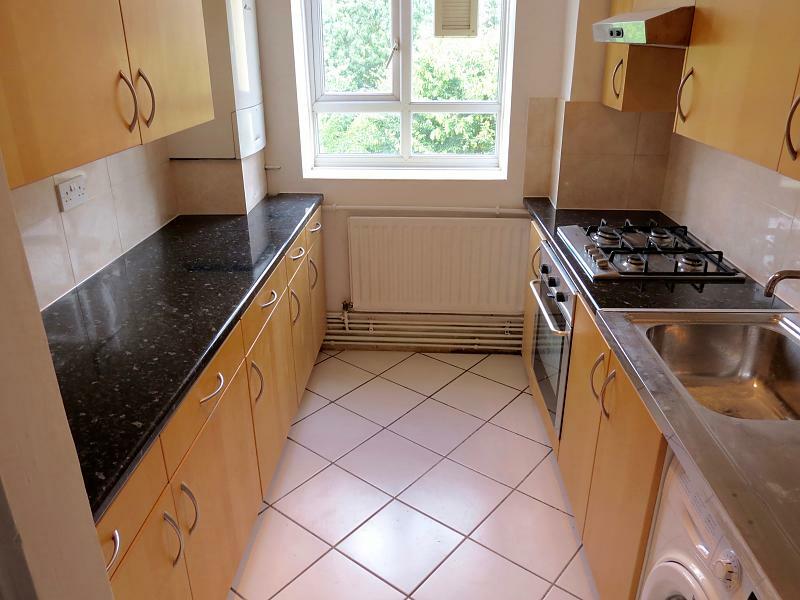 The property is situated on Brixton Hill just off Upper Tulse Hill. There are local shops just moments away and the property has bus links to Brixton station and take you on into central London. There are also local schools and parks just a short walk away. Roehampton Lane, Flat Egleton House, Roehampton, SW15 4LE. 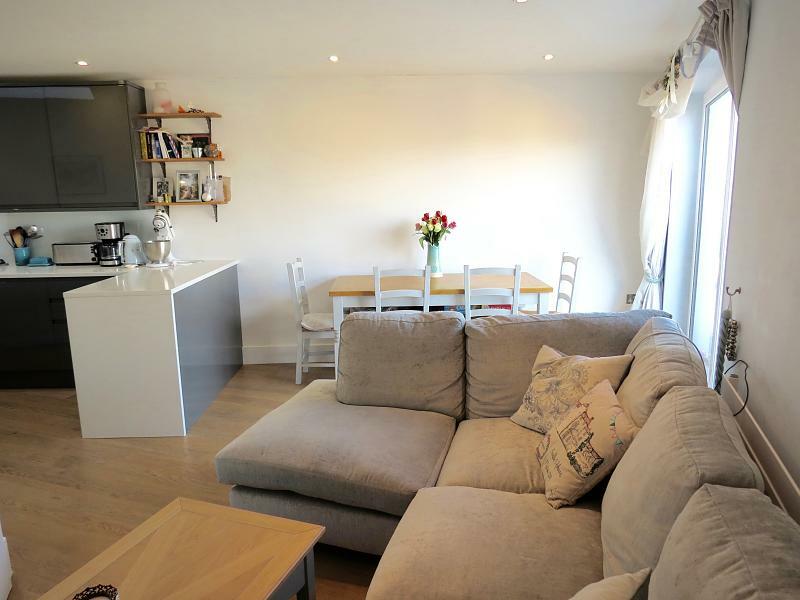 We are delighted to offer this stunning double bedroom apartment, located close to Richmond Park and Roehampton University. The home is situated on the third floor of this elegant modern building and has been finished to a high spec throughout. The property comprises two double bedrooms, the master offering a large built in closet, large bespoke bathroom, spacious fully fitted kitchen open plan onto the dining and living room area creating a light and airy space, boasting its very own private balcony as well as a large private terrace perfect for London living entertaining. 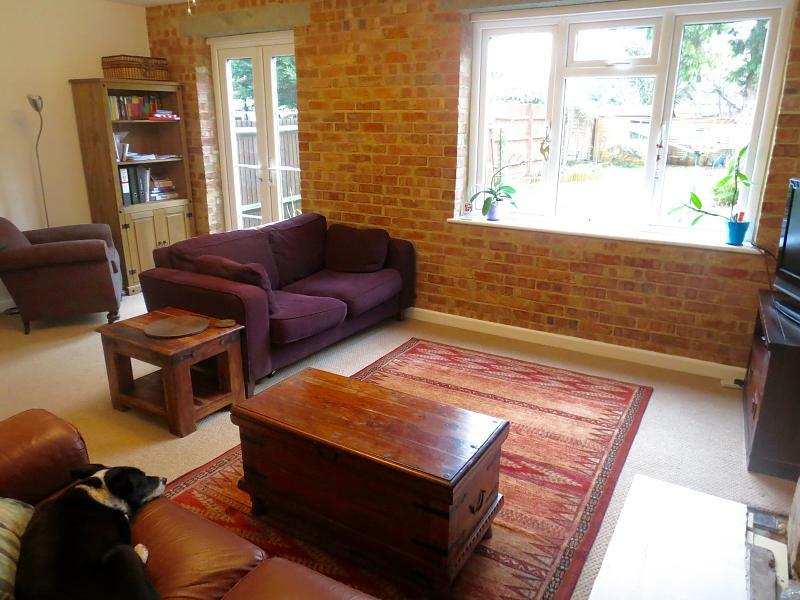 The home is a stones through from a Waitrose local as well as having two charming pubs nearby. The local buses are also on the doorstep to take you to central Putney and beyond. Fieldend Road, Streatham Vale, SW16 5SR. NEW TO THE MARKET A MUST SEE MOTIVATED CHAIN FREE SELLER) This four bedroom mid terraced house boasts of light and space with period features throughout. 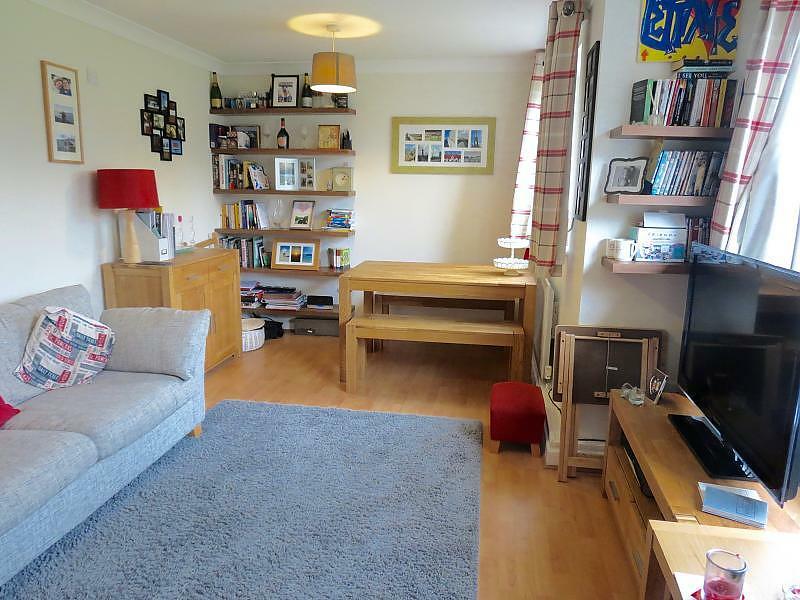 Comprising of four bedrooms one located in the loft with en-suite, modern family bathroom, large fully fitted kitchen with breakfast bar, spacious through lounge with dining area and a large private rear Garden. 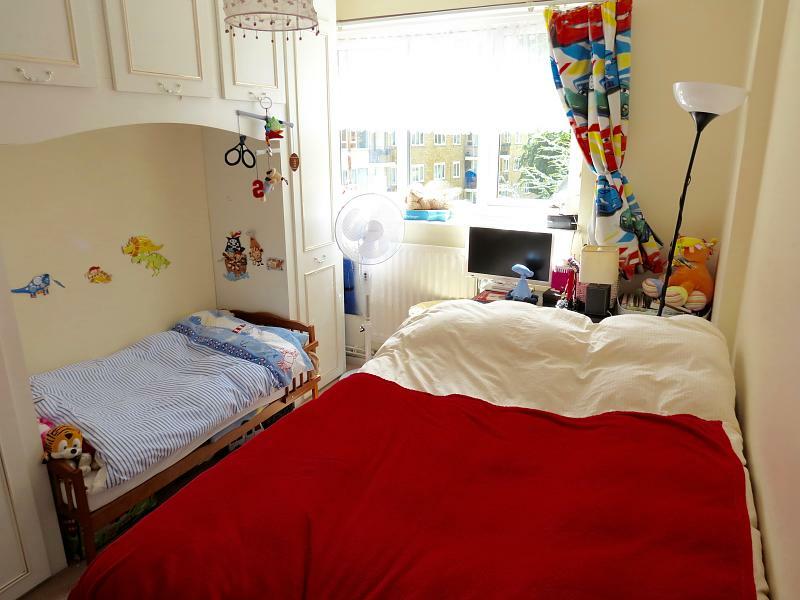 Situated close to Streatham Common Station good local schools. 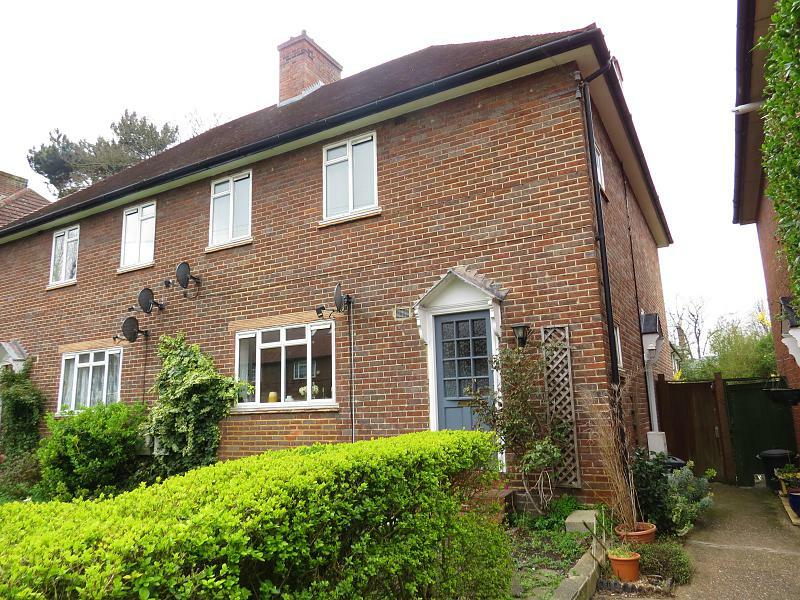 Summerly Avenue, Reigate, RH2 9HE. 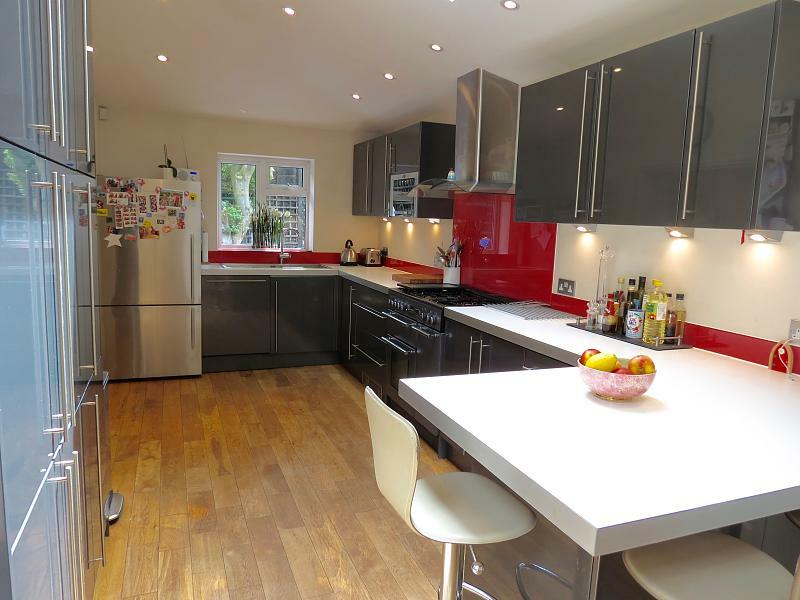 We are delighted to offer this exceptional four bedroom semi detached house. 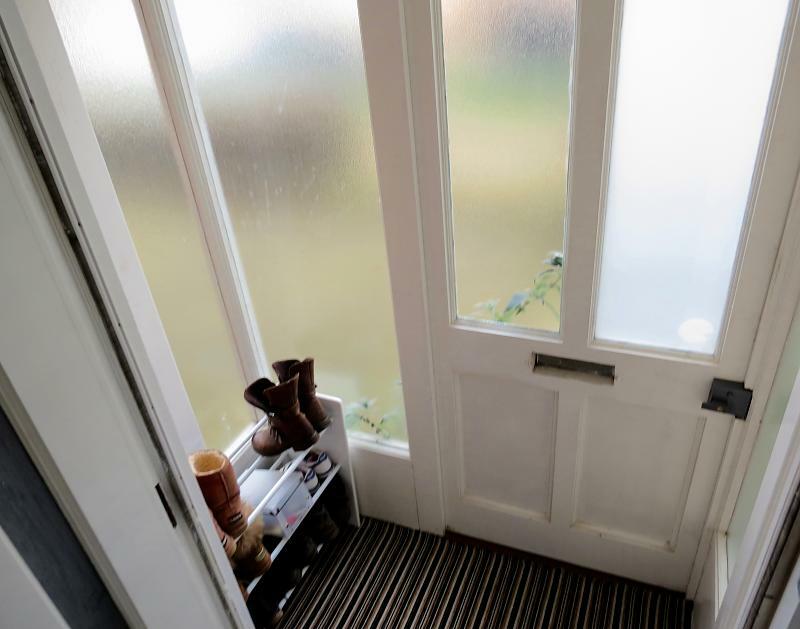 The home boasts of light and space throughout and offers huge potential for a buyer to extend to the side (STPP) as neighbouring houses in the area have already carried out. 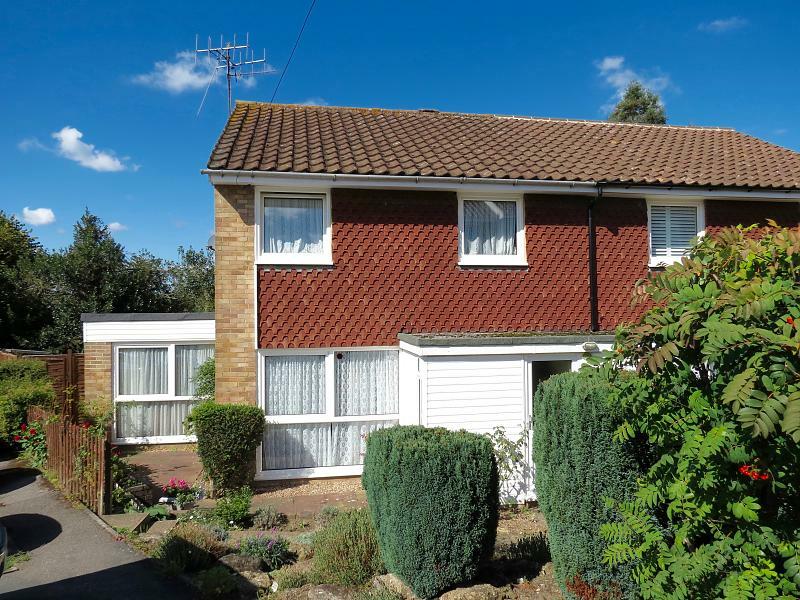 Upstairs comprises three good-sized bedrooms with a family bathroom, on the ground floor is a large living room with further bedroom/ study room and a modern newly fitted kitchen. 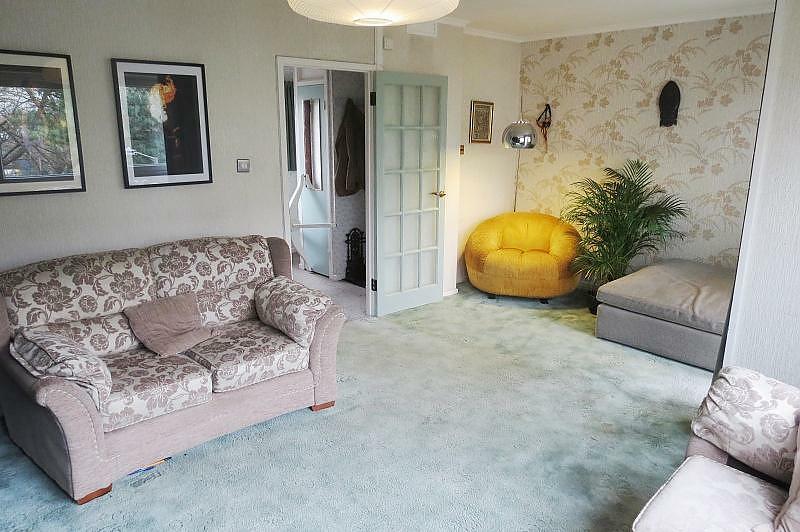 The living room opens out onto a lovely private landscaped with patio. Furthermore there is a Garage en bloc, corner position with garden. This property is located in a quiet cul de sac just off Yorke Road. In prime position from the town centre, with Reigate mainline station, the local restaurants, shops and amenities just moments away. 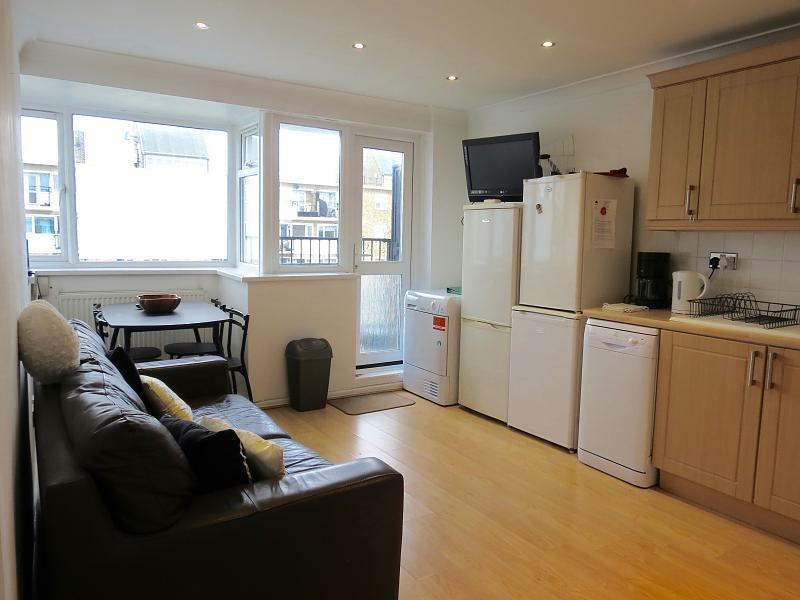 , Archway Mews,, Putney, SW15 2PE. 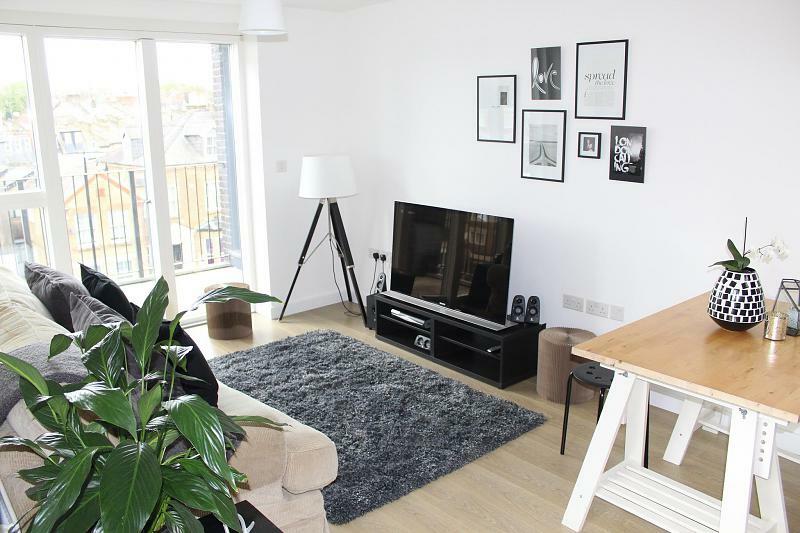 A beautifully presented and modern large double bedroom flat located minutes away from central Putney, Wandsworth Park and the river. 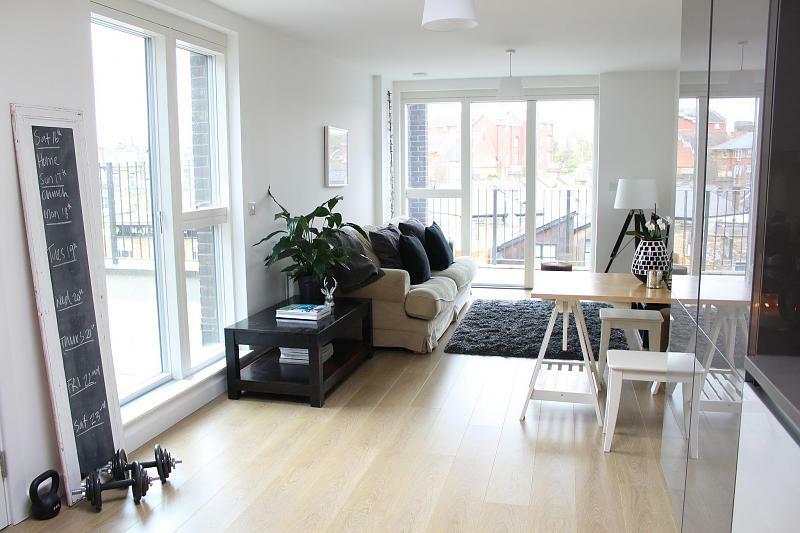 Comprising of spacious open planned living area with a fully equipped Kitchen and a balcony. 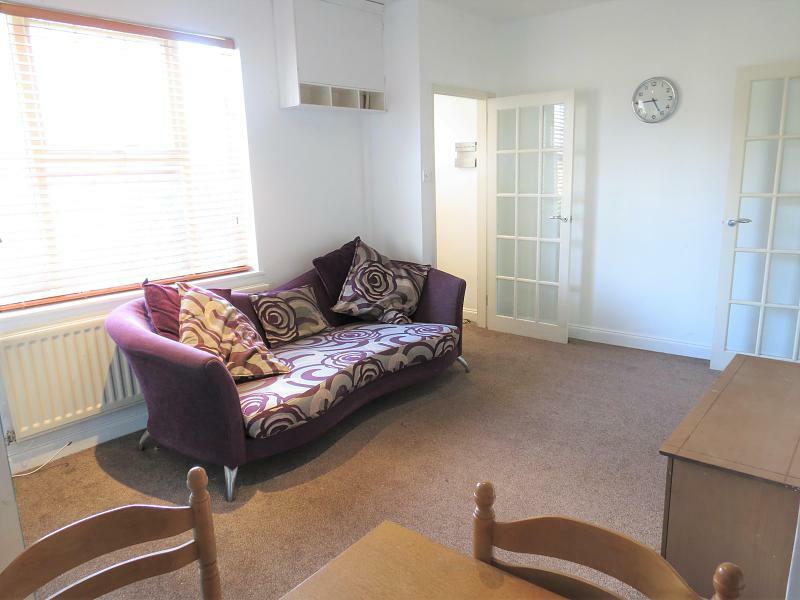 The large double bedroom with study area has balcony access, ample wardrobe storage and an en suite shower room. The flat also has the added benefit of a dedicated off street parking space which not every flat can boast. 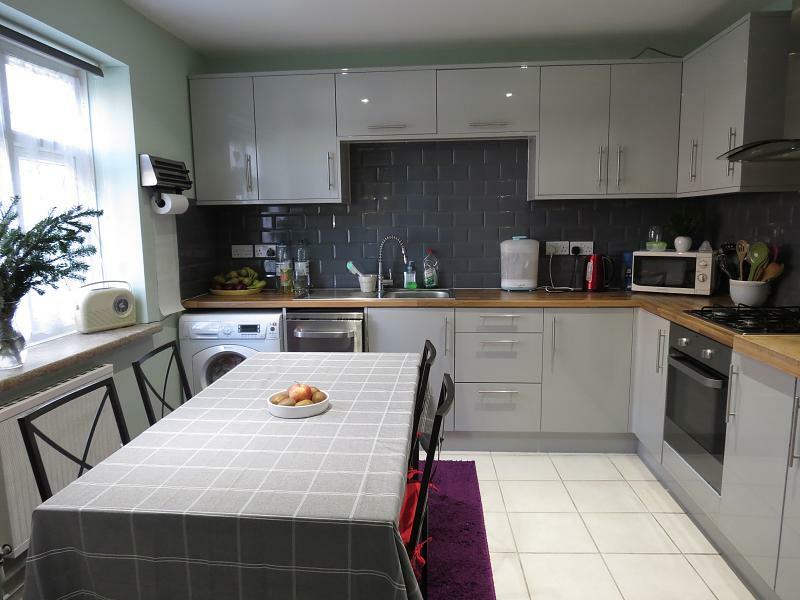 Situated a short walk from the high street and all its amenities including Putney Train Station and East Putney or Putney Bridge Tube on the underground. Dover House Road, London, SW15 5AH. Stroud Crescent, Putney Vale, SW15 3EB. 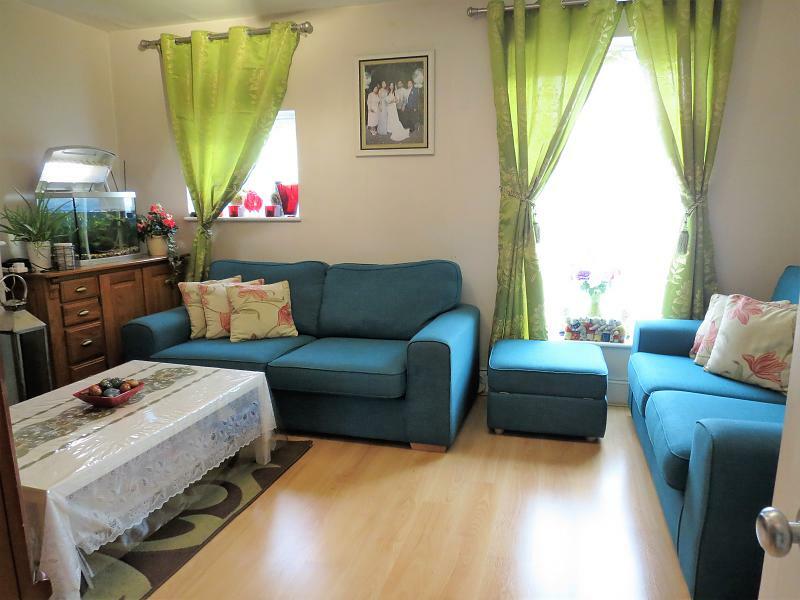 We are delighted to offer this lovely three bedroom mid terraced house to the market. 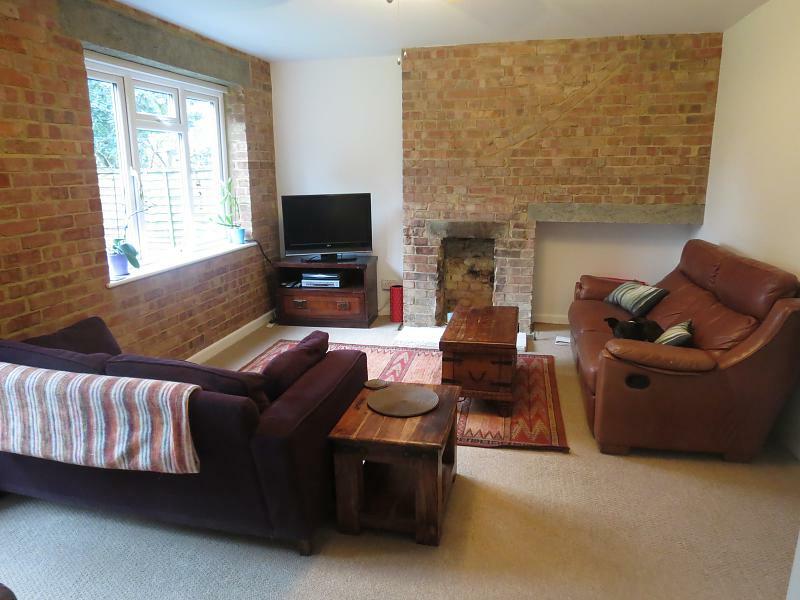 The property boast of light and space, is double glazed throughout and comprises three good sized bedrooms, family bathroom, large kitchen dining room, spacious living room with brick feature wall and fireplace overlooking a large private well maintained garden. 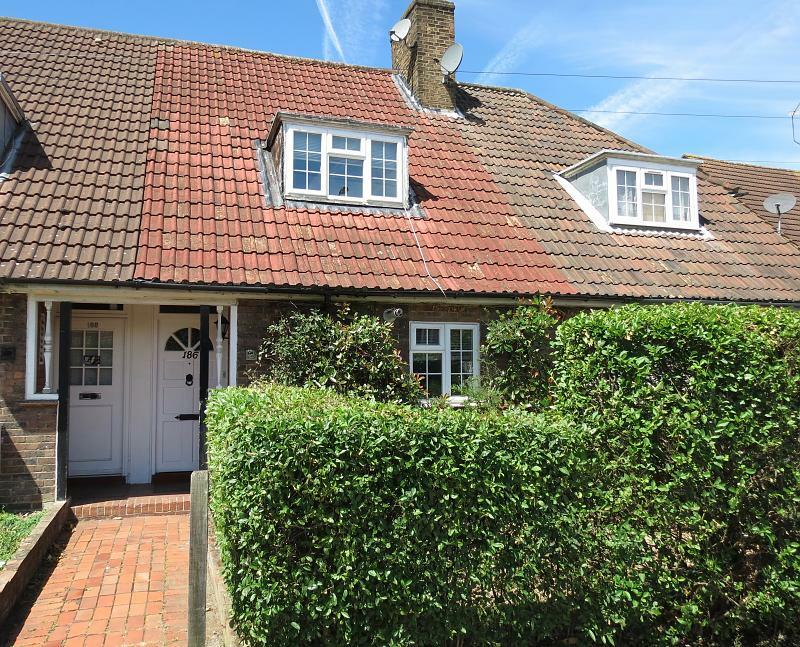 The property is located moments from the local shops and a 24 hrs superstore as well as Wimbledon playing fields and Wimbledon common. Richmond Park and the local buses to putney and beyond are also close by. 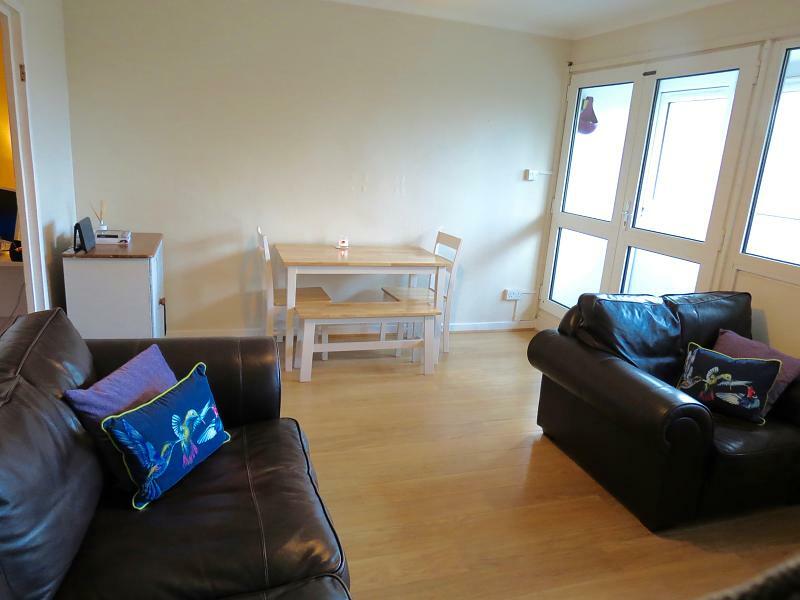 We are delighted to offer this two double bedroom ground floor apartment. 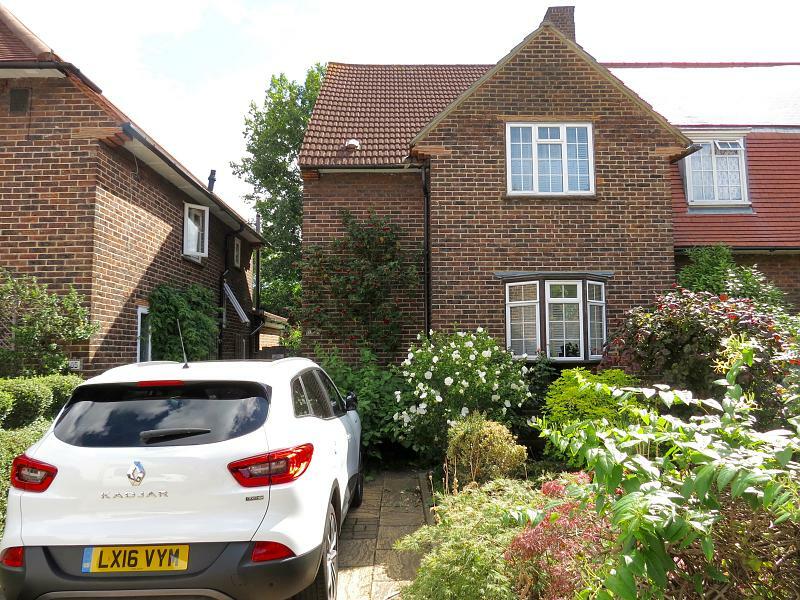 The property is located within the ever popular Dover House Conservation area and comprises two spacious double bedrooms, modern fully fitted kitchen, large separate living room, bespoke bathroom with separate W.C and a front and rear private garden. 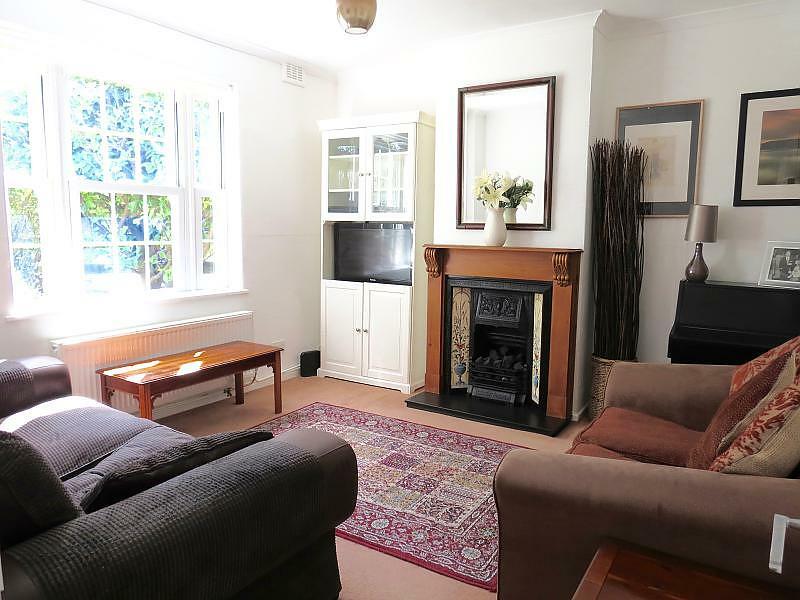 The home offers period features and high ceilings and throughout. Putney Heath, Richmond Park are a short walk away as well a the local buses to Putney and Barnes Mainline Station. The shops and amenities are also within easy reach. 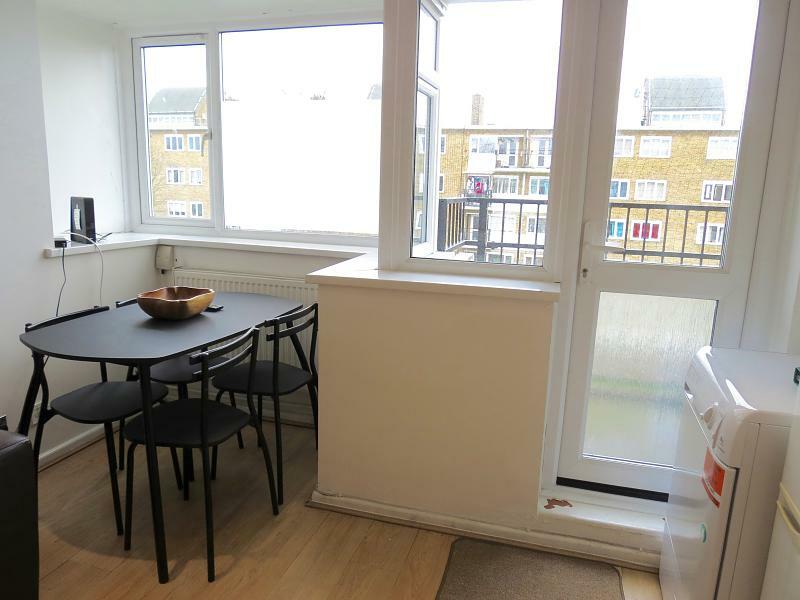 Flat , St Margarets Crescent, Putney, SW15 6HL. 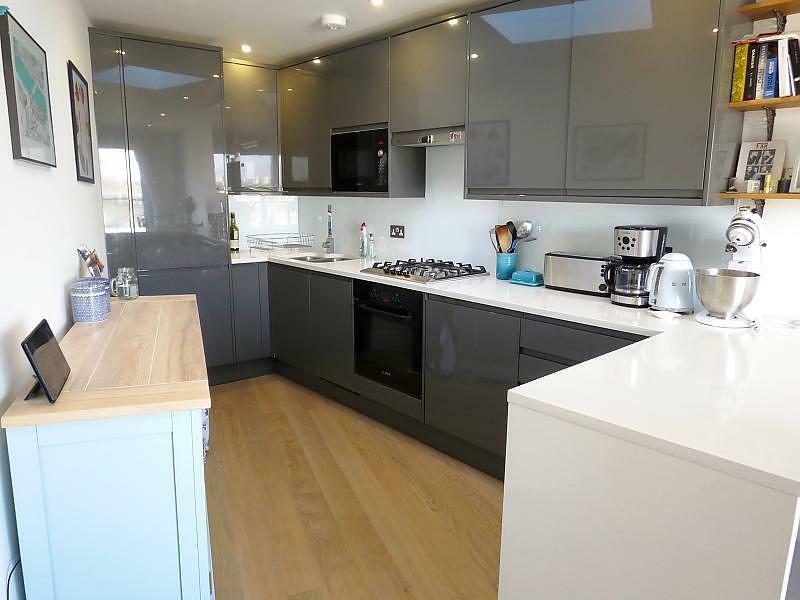 This stunning two double bedroom first floor flat is located in the heart of West Putney set back off this charming Cul der-sac within St Margaret's Crescent. 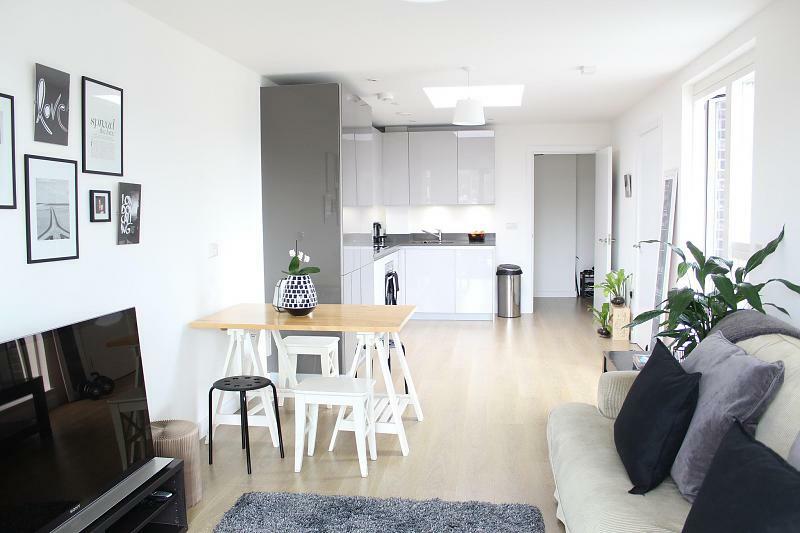 The home offers light and space throughout and modern open plan living. 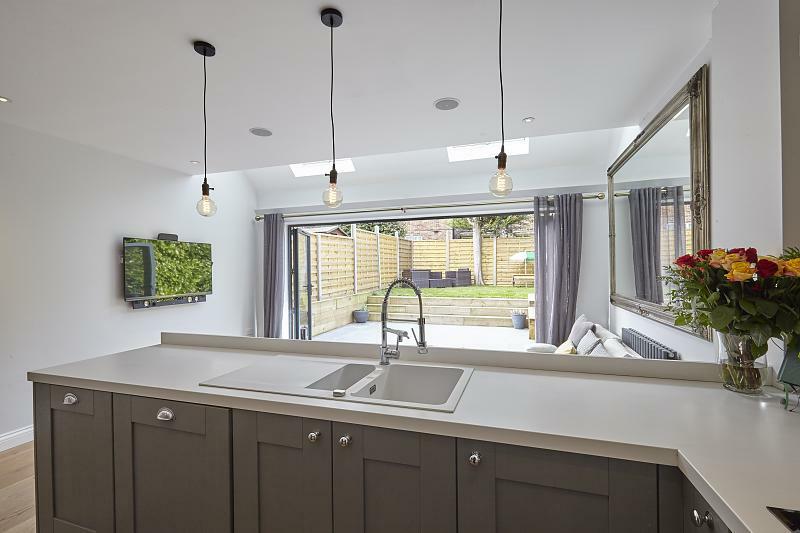 The kitchen is bespoke and fully fitted with an added addition of an island breakfast bar leading onto a bright living space with wood floor throughout. 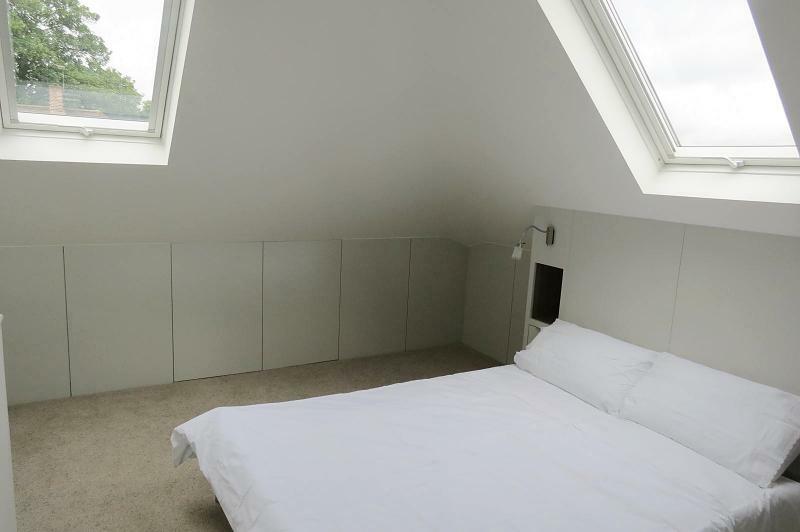 The bedrooms are both double with added storage as well as an additional area for a cot or study space. The family bathroom is bright and modern and there is a large storage cupboard above the glazed stairwell. Outside is the communal landscaped garden as well as a private parking space. Putney high street, Tube/and Mainline Station as well as the local shops and amenities are just a walk away. There are buses nearby as well as the River and green open spaces of Putney Common, Heath, and Richmond Park. Sunnymead Road, Putney, SW15 5HY. 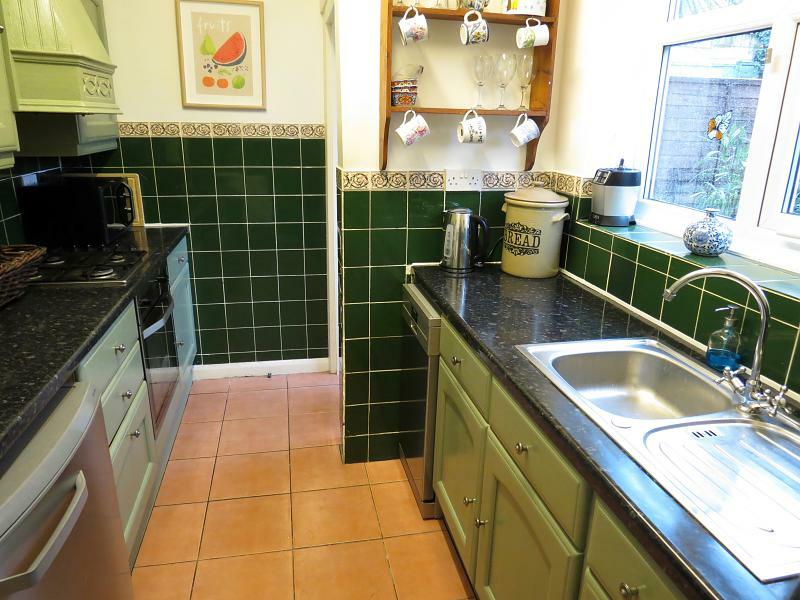 This two double bedroom mid terraced house is in need of some modernisation and offers potential to extend (STPP) the home is ideal for a first time buyer or family, and is set within the ever popular Dover house conservation area. 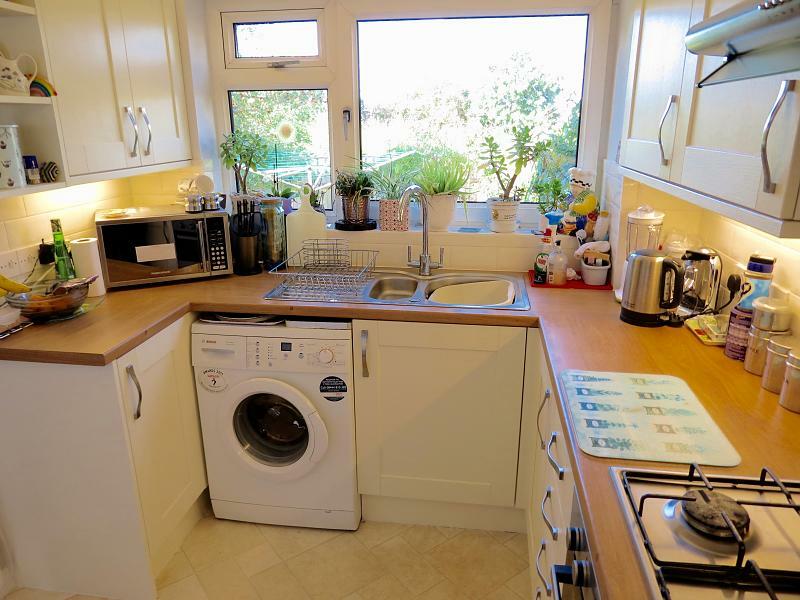 This charming house comprises two doubles bedrooms, bathroom with shower, fully fitted kitchen spacious living room and large garden with outbuilding. The shops and amenities are close buy as well as Richmond Park, Putney heath and Barnes Mainline Station. The local buses to Putney and beyond are just a short walk away. 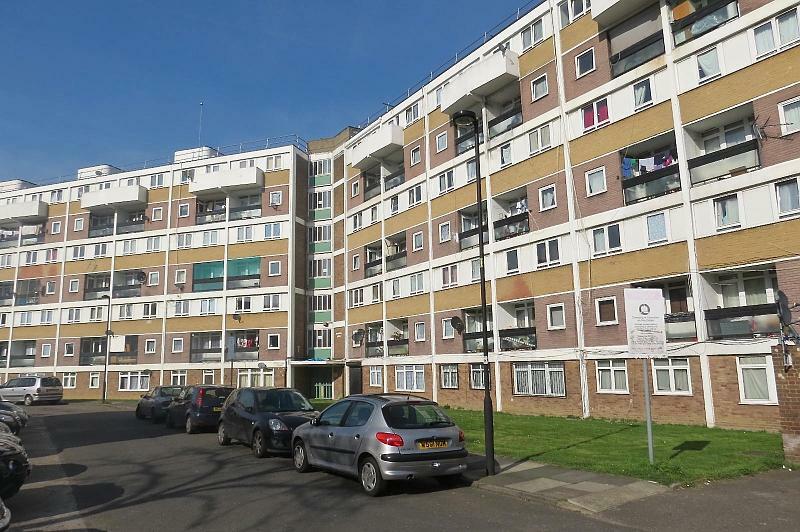 March Court, Block B, Putney, SW15 6LE. 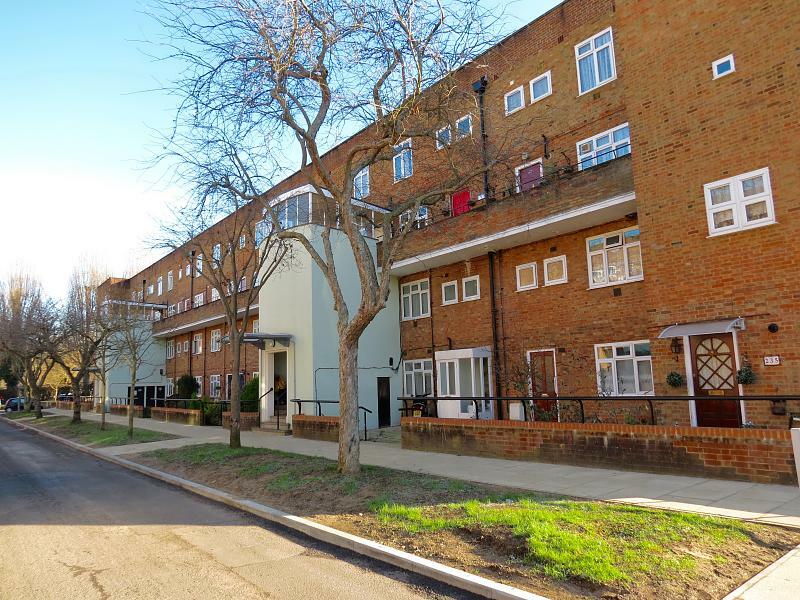 (NEW TO THE MARKET) We are delighted to offer this well presented two double bedroom ground floor apartment situated within the ever popular March court private development. 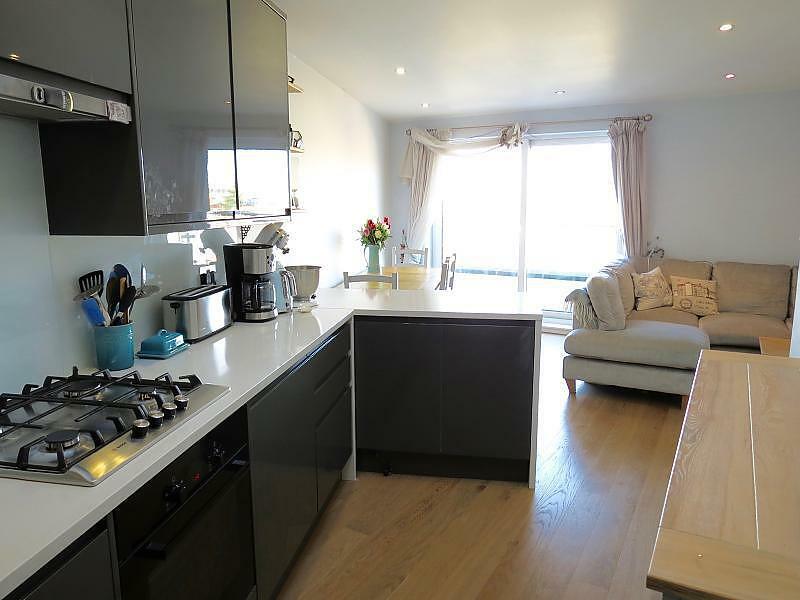 The property is south facing and boasts of light and space, comprising two large bedrooms with fitted wardrobes, modern shower room with separate W.C, separate fully fitted bespoke kitchen and large living room with duel aspect windows. Furthermore the home offers its very own underground secure parking space. 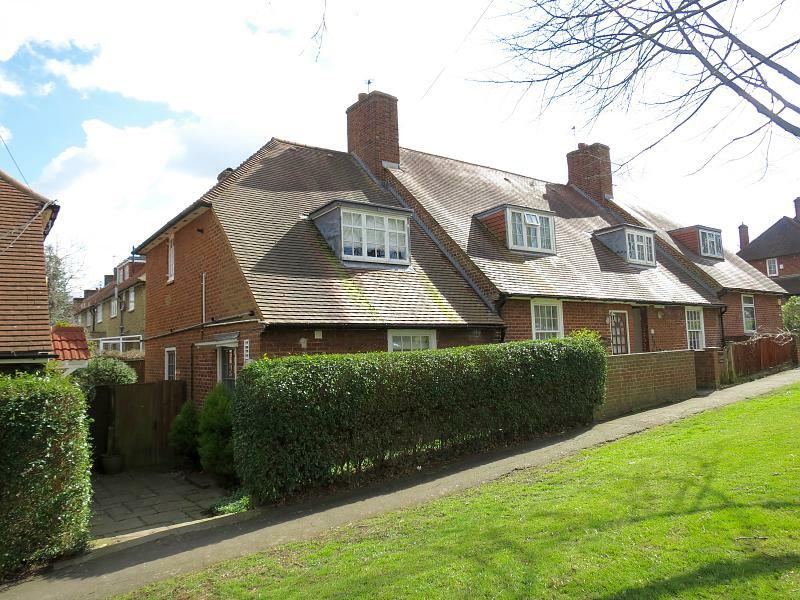 This property is located conveniently for the local shops, amenities and green open spaces of Putney common. Barnes Mainline Station and the River are also just a short walk away. Newnes Path, Putney, SW15 5JB. 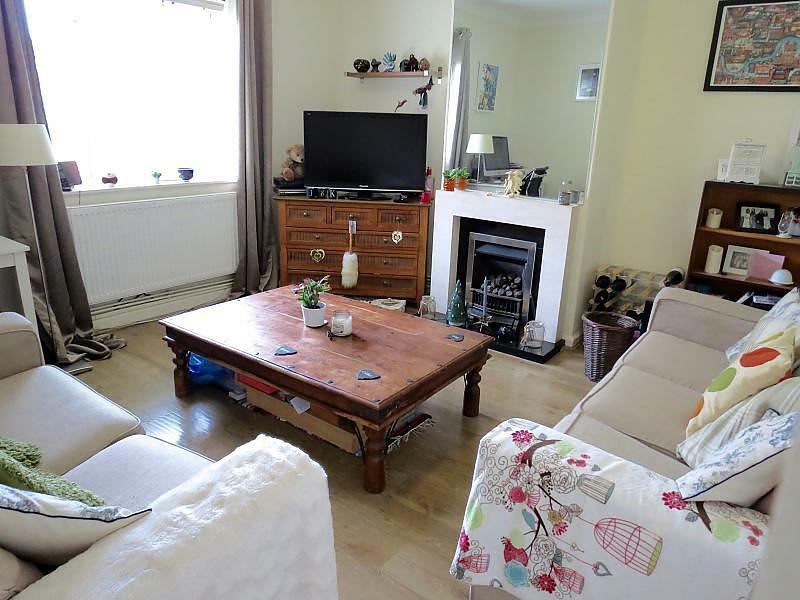 (CHAIN FREE MOTIVATED SELLER) We are delighted to offer this three bedroom end terraced house set within the ever popular Dover House Conservation Area. 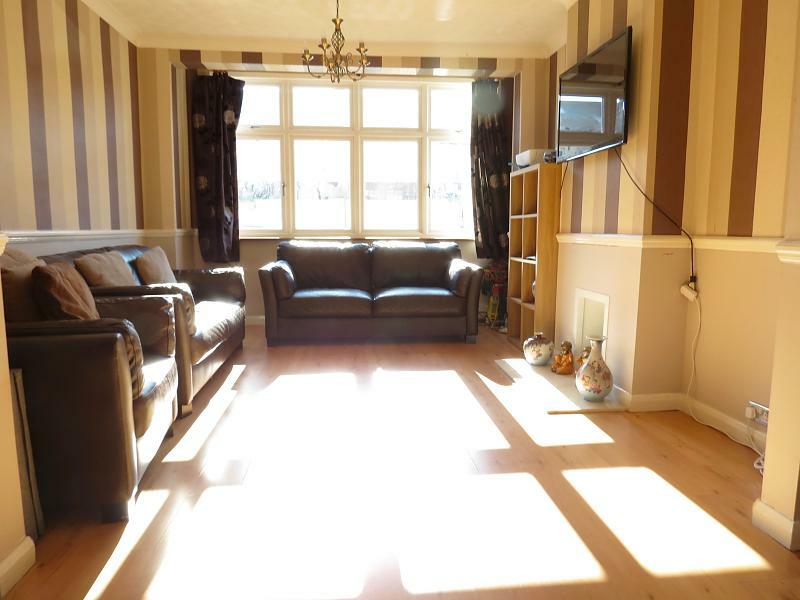 The home is well presented comprising three good sized bedrooms, modern family bathroom, large fully fitted kitchen with dining area, spacious lounge, and room for a study or huge storage area. There is also a private garden and permit parking as well as surrounding road with non restricted parking. Barnes Mainline Station, buses to Putney and the local shops and amenities are just moments away. (NEW TO MARKET A MUST SEE) This mid terraced three double bedroom house boasts of charm and character throughout and is set within the ever popular Dover House Conservation Area. 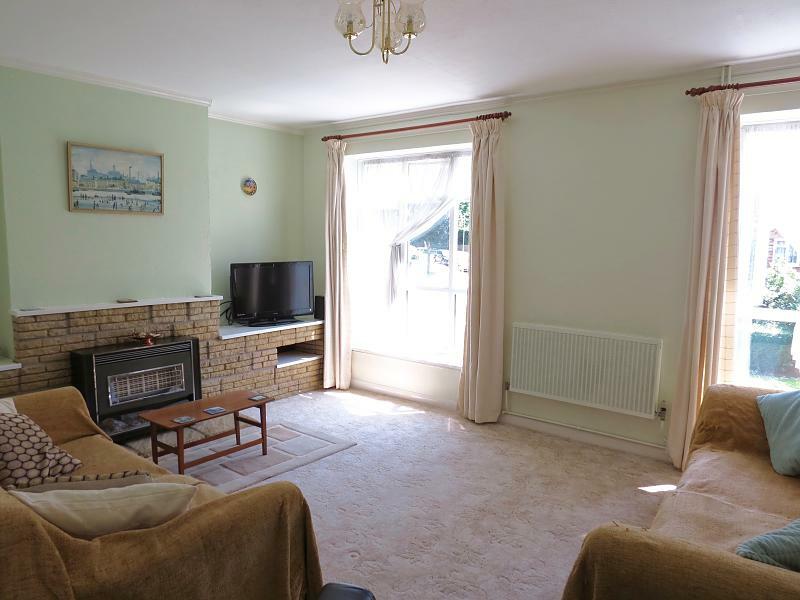 The property offers three good sized bedrooms, large family bathroom, roomy fully fitted kitchen, opening on to a spacious living room with down lights and feature fireplace. 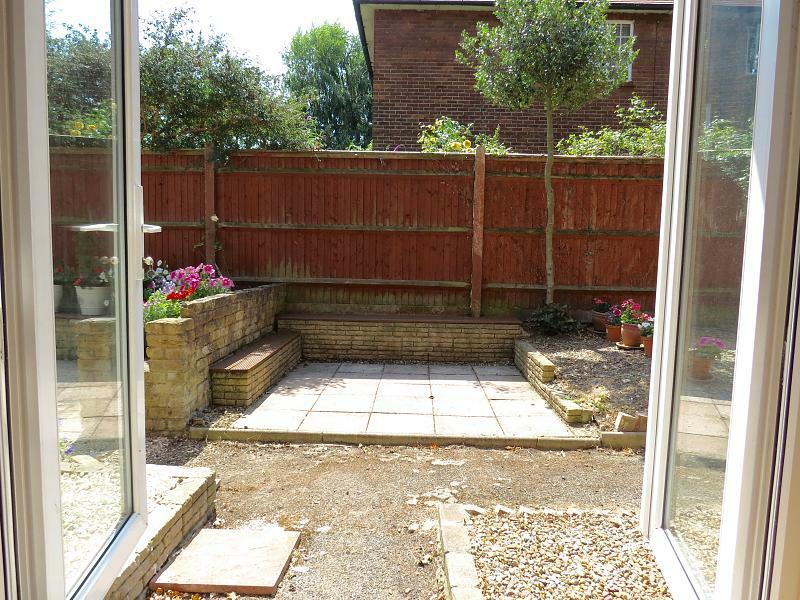 The home also benefits from its very own private rear garden with decked area. 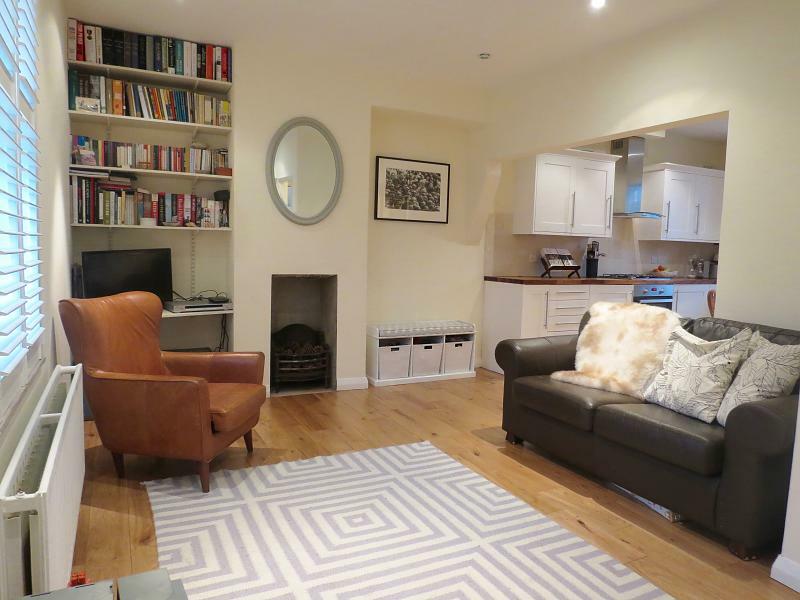 Barnes Mainline Station, Putney Heath and the local shops and amities are just a short walk away. Dover House Road, Putney, SW15 5AF. NEW TO THE MARKET A MUST SEE We are delighted to offer this three double bedroom end terraced house set within the ever popular Dover House Conservation Area. 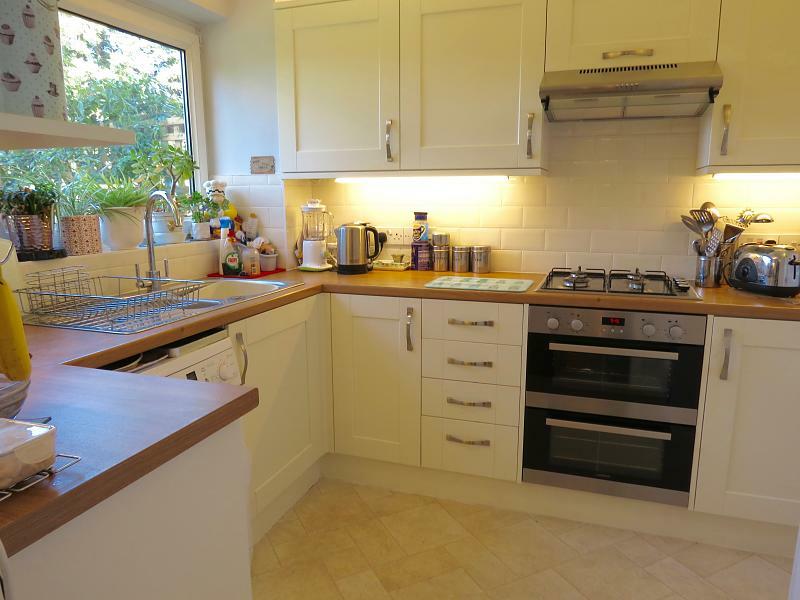 This lovely home is set back over looking a beautiful tree lined green and comprises, three double bedrooms, large lounge, separate kitchen and a large private garden. 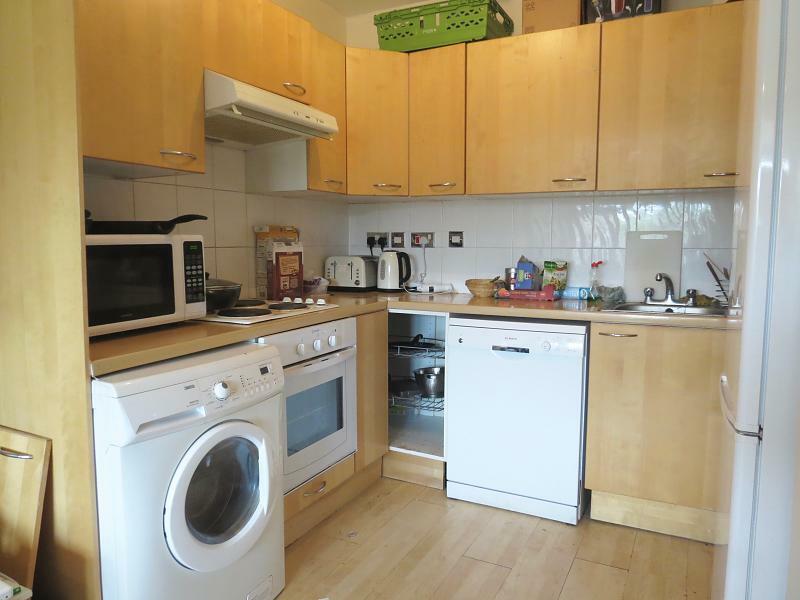 This property has great transport links into Putney High Street door to door and on into central London. Barnes Mainline Station and the local shops and amenities are also just moments away. Pleasance Road, Putney, SW15 5HJ. 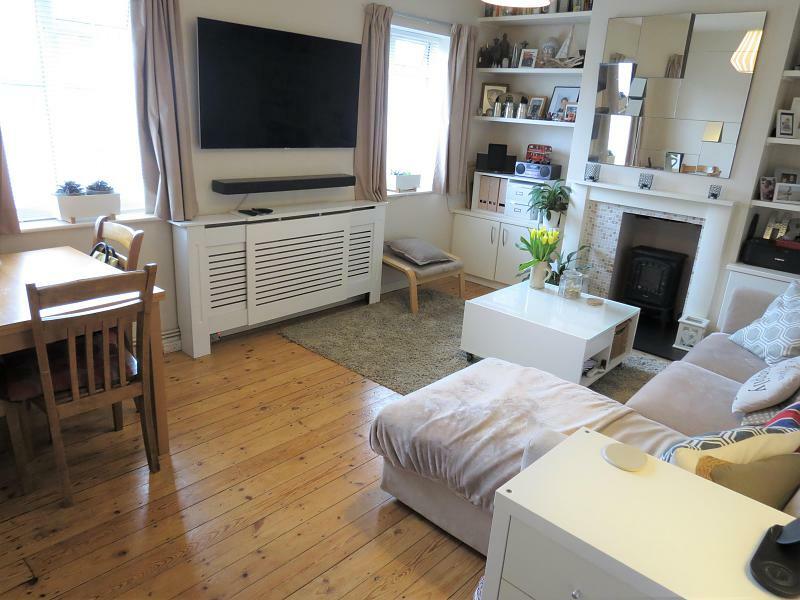 This beautifully presented three bedroomed mid-terraced house is situated within the ever popular Dover House conservation area. The home comprises three double bedrooms the third of which currently as a used a second reception or snug, modern bathroom with shower, spacious modern kitchen with dining open plan to the living room with feature log burner fire place and French doors opening onto a large private garden. 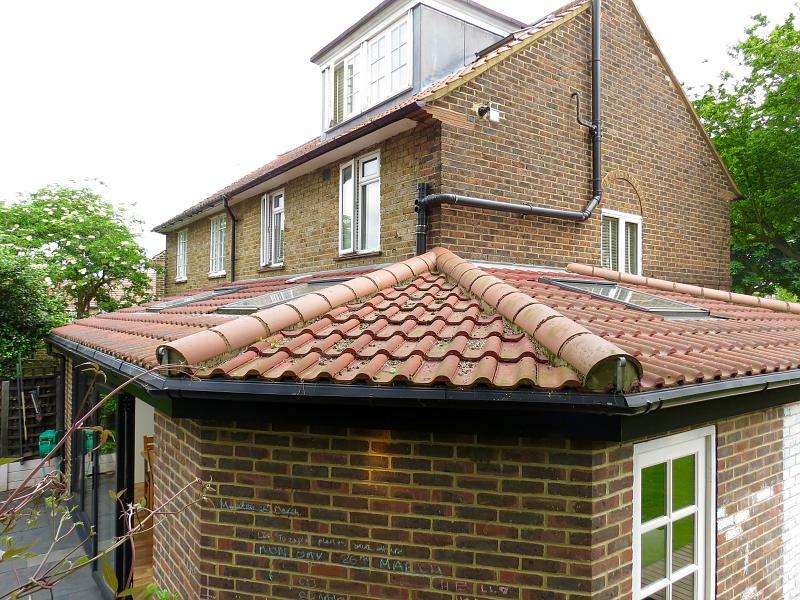 The house also offers further potential for a rear extension (STPP). 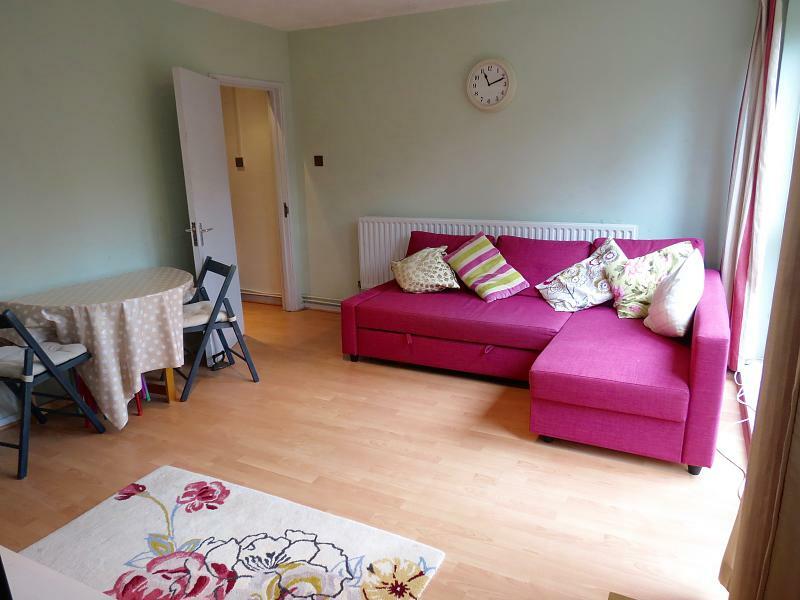 This property is located within easy reach of the local buses to Putney high street, local shops and amenities and Barnes mainline station. Putney Heath and Richmond park are also just a walk away. The Footpath, Putney, SW15 5AW. 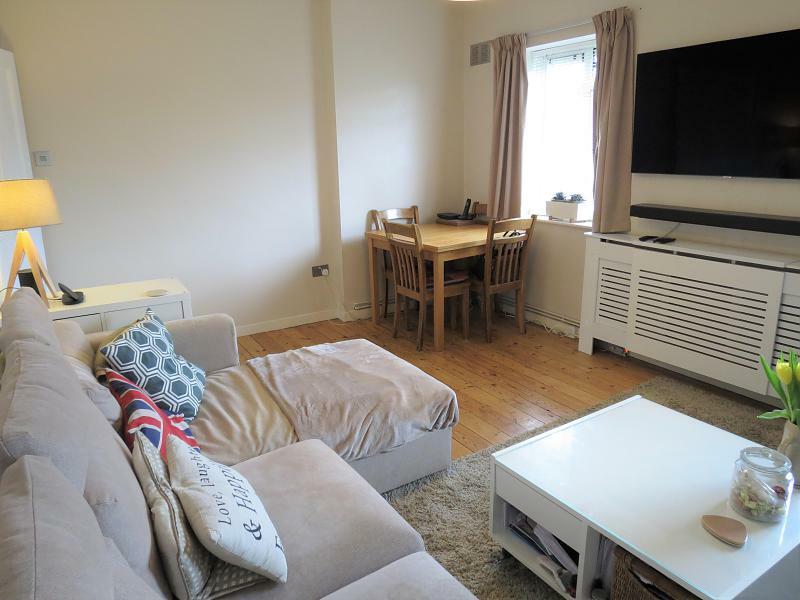 We are delighted to offer this extended well presented two double bedroom mid terraced house set within the ever popular Dover House Conservation Area. The house boasts of light and space throughout and offers a double reception room which has been opened up leading onto a large modern fully fitted Kitchen with utility and sliding doors opening onto the landscaped garden with self contained newly built studio complete with its now W.C and Shower. Upstairs is two large double bedrooms and family bathroom with stand alone showers and large bath tub. Barnes Mainline Station, bus links to London, Putney Heath and Richmond Park are just a short walk away. Dover House Road, Putney, SW15 5AB. 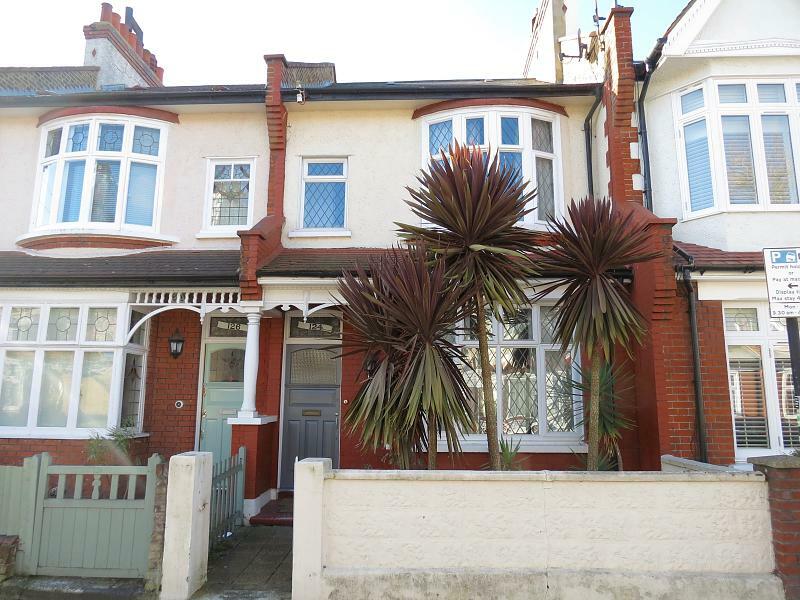 (New to market a must see) We are delighted to offer this charming well presented three bedroom end terraced house. The home is set within the ever popular Dover House conservation area and offers private off street parking. 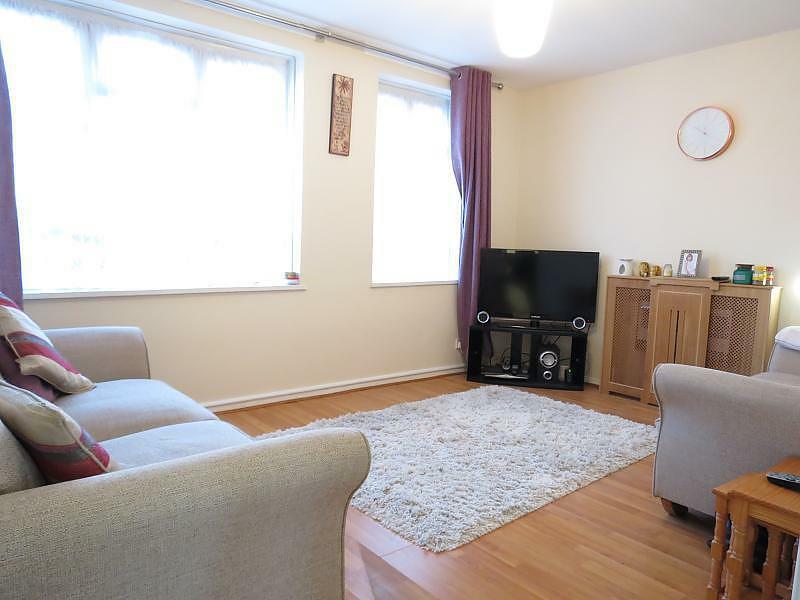 This property comprises three good-sized bedrooms, modern family bathroom with shower, and a large reception room open plan with the large kitchen dining room leading to utility area with ample storage. In addition there is a private garden over looking the allotments. The buses to Putney High Street and mainline and tube stations, as well as Barnes Mainline Station and the local shops and amenities are just moments away. Carslake Road, Putney, SW15 3DE. 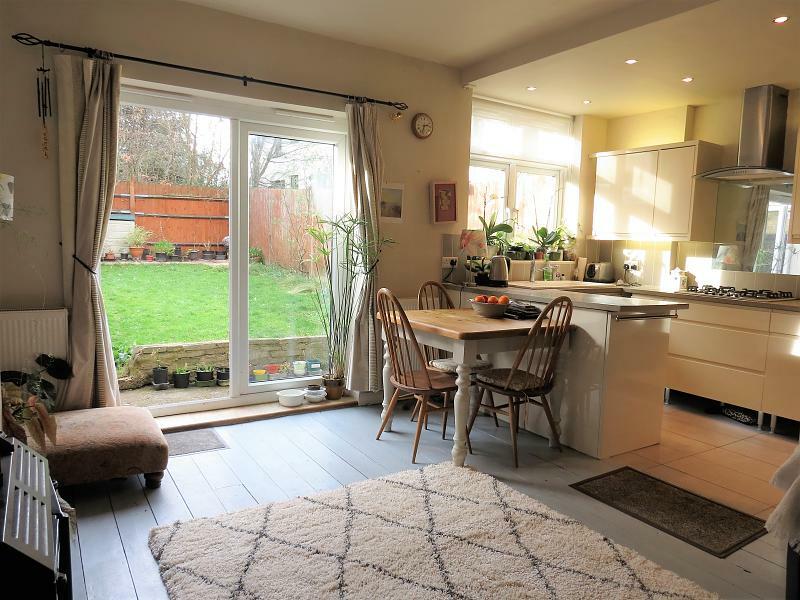 We are delighted to offer this well presented three bedroom mid terraced house moments away from the green open spaces of Putney Heath. The home boasts of light and space throughout, is fully double glazed and comprises Three good-sized bedrooms, family bathroom, large kitchen dining area, spacious living room with feature fire place, grand entrance hall, additional downstairs W.C and shower room and conservatory/utility leading onto a large garden with decked and patio area. 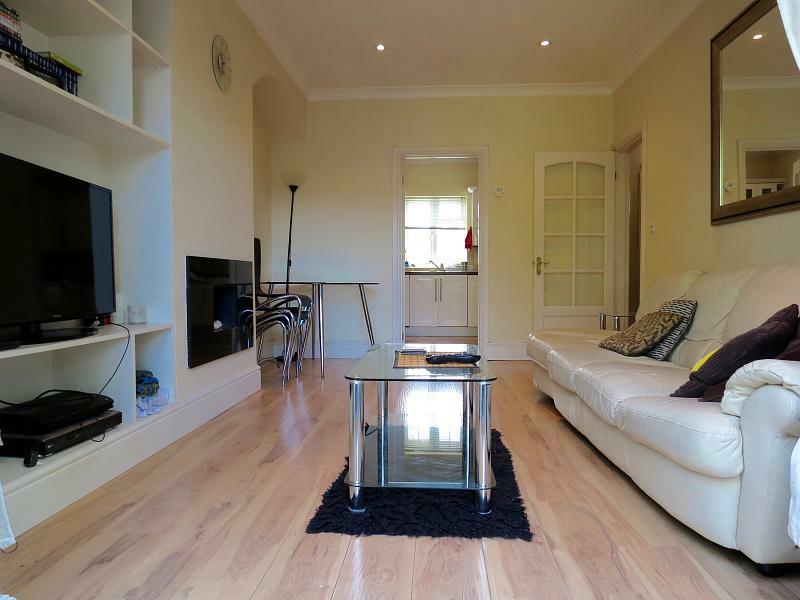 Putney High Street, Tube and Mainline are also just a short walk away. Huntingfield Road, Putney, London, SW15 5ER. Dover House Road, Putney, SW15 5AH. 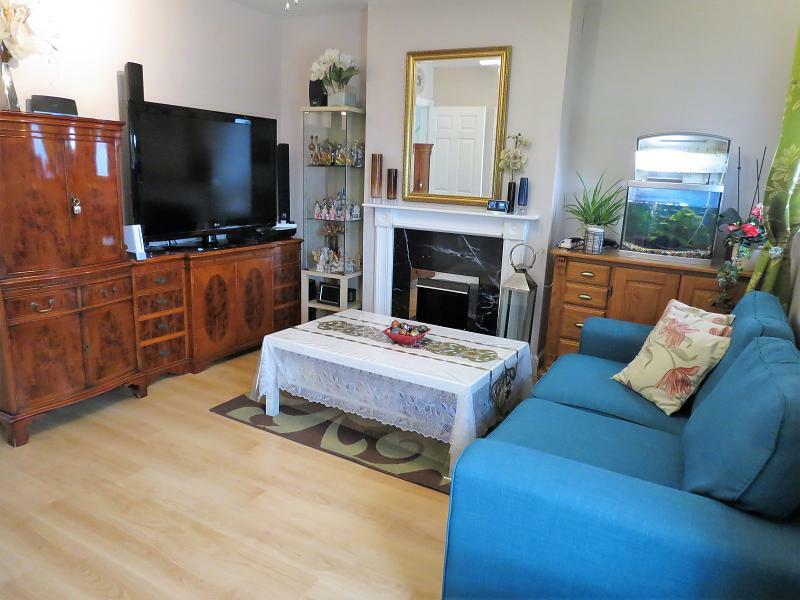 We are delighted to offer this exceptional three double bedroom mid-terraced house, set within the ever popluar Dover House conservation area. 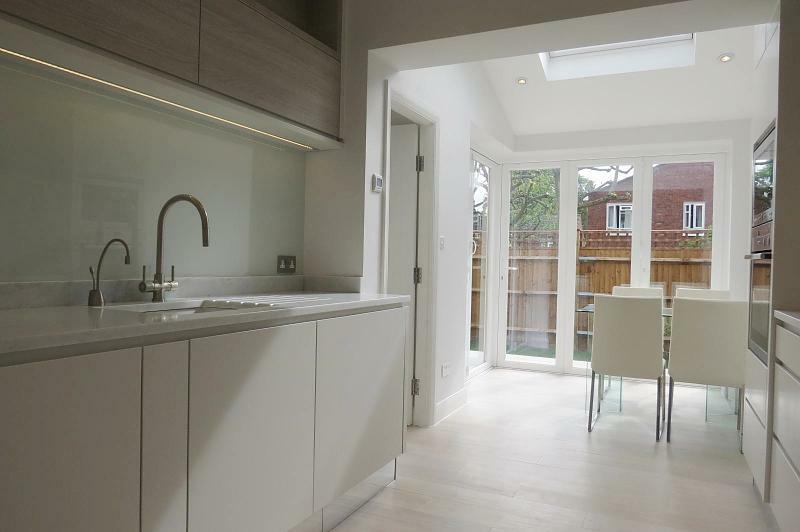 This home has been fully extended at the rear and into the loft and has been refurbished to a very high standard. 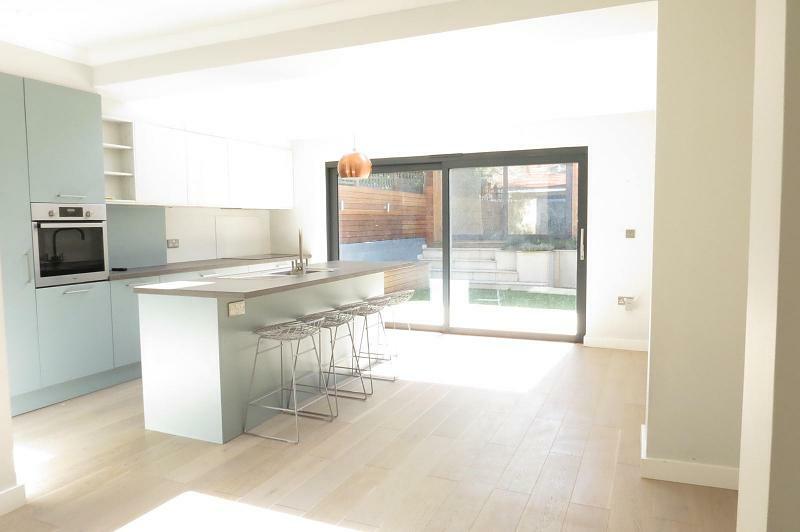 the home comprises, three double bedrooms, three bathrooms all en-suites, downstairs separate W.C, large living room which can be opened onto a large modern kitchen dining room, modern bespoke features, and breakfast bar with intergrated hob. This amazing space then opens onto the private patio and lawned garden. 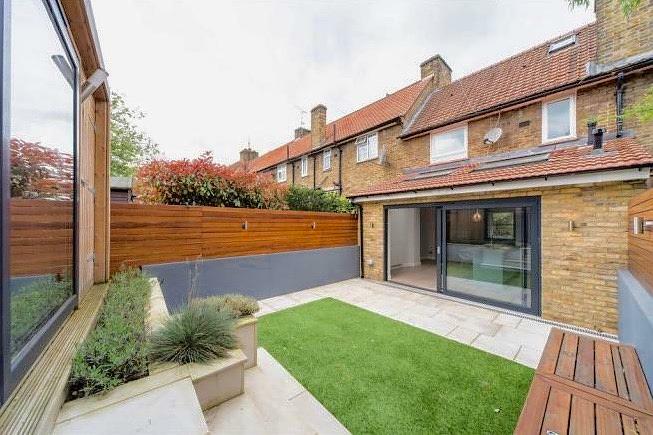 To the front of the house is a private driveway an added bonus for the area, and is conveniently located close to Barnes station, the local shops and buses to take you to Putney and beyond. Brudenell Road, Tooting, SW17 8DF. 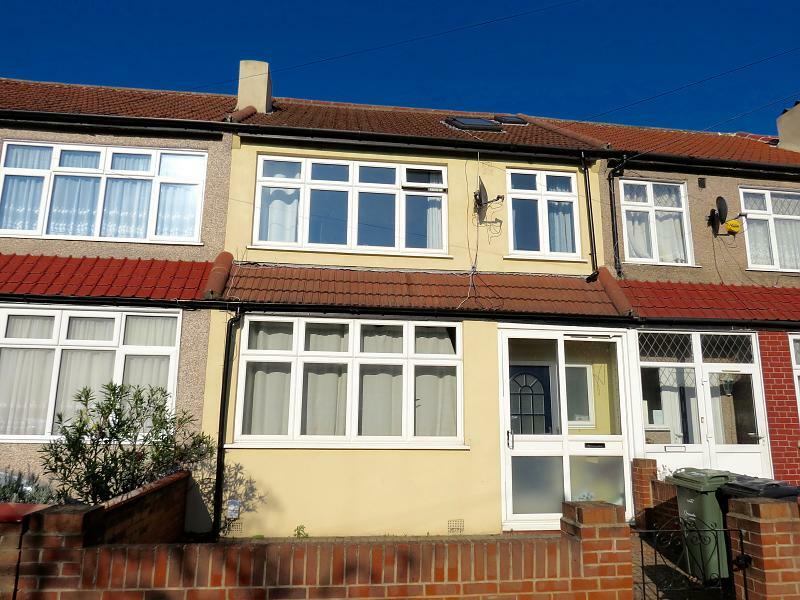 NEW TO THE MARKET) We are delighted to offer this well presented three bedroom mid terraced house conveniently located in one of Tooting's sort after roads within each reach of Tooting Bec tube station and Tooting Bec common. 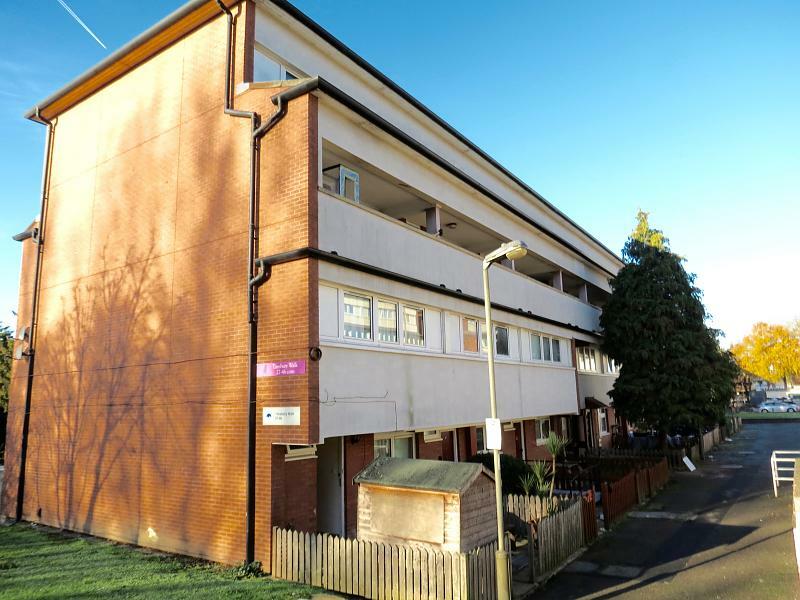 The property is in need of some modernisation but offers huge potential for a family of development opportunity to maximise the space throughout. 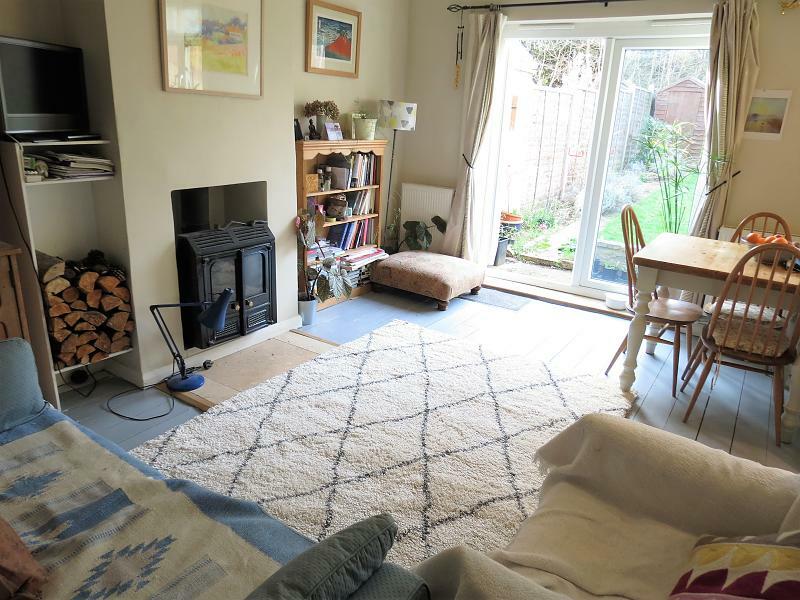 The house boasts of high ceiling and period features throughout and comprises three bedrooms, family bathroom, two WCs one separate, large kitchen and a spacious double reception room with bay window. 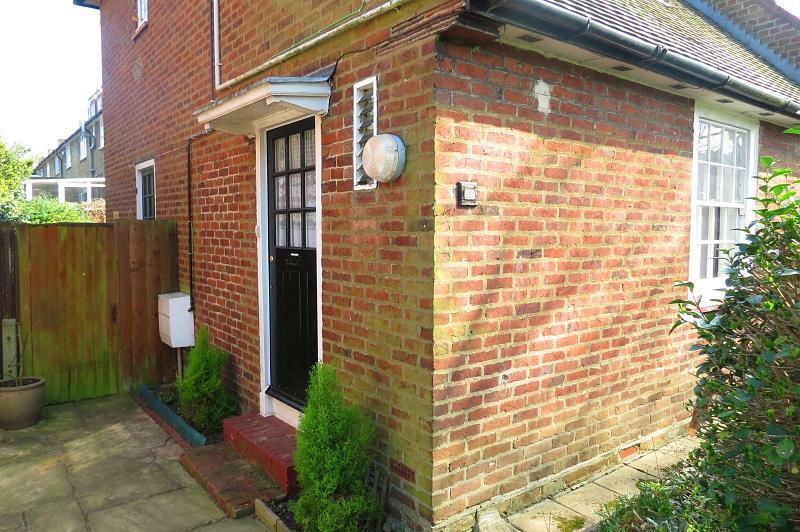 There is a front and rear garden offering potential to extend at the rear and into the loft. (STPP) The local shops, amenities are within walking distance and the busses and tube links to central London are just moments away. Dover House Road, Putney, SW15 5AA. 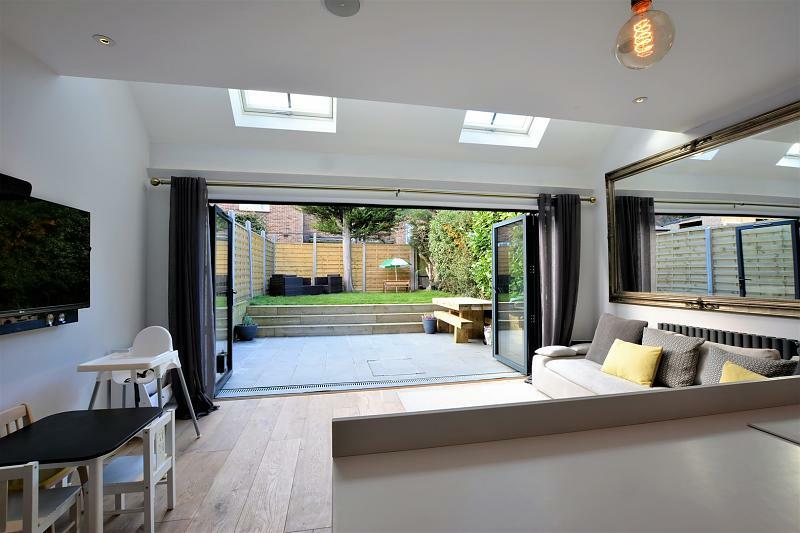 A stunning and beautifully presented end of terrace four bedroom house, re designed with flair to create a very attractive, practical home located on the ever popular Dover House Conservation Area of Putney. Arranged over three floors, enter through the front door leading to a hallway with stripped and painted floor boards, door leading to a sunny front reception room with bespoke wall units and a contemporary hole in the wall live flame fire. Downstairs WC, Utility Room. 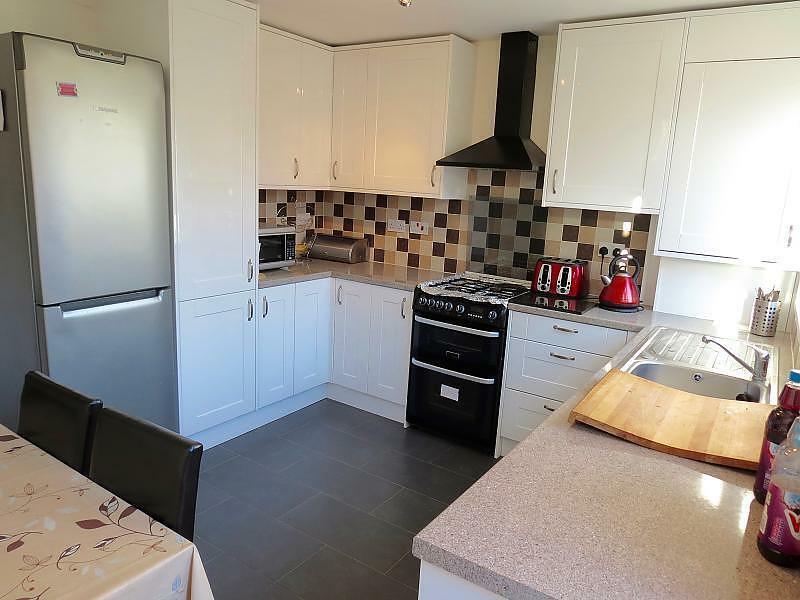 The Kitchen/Extended Dining room comprising of modern fully fitted units and appliances with added extras and mod cons throughout. 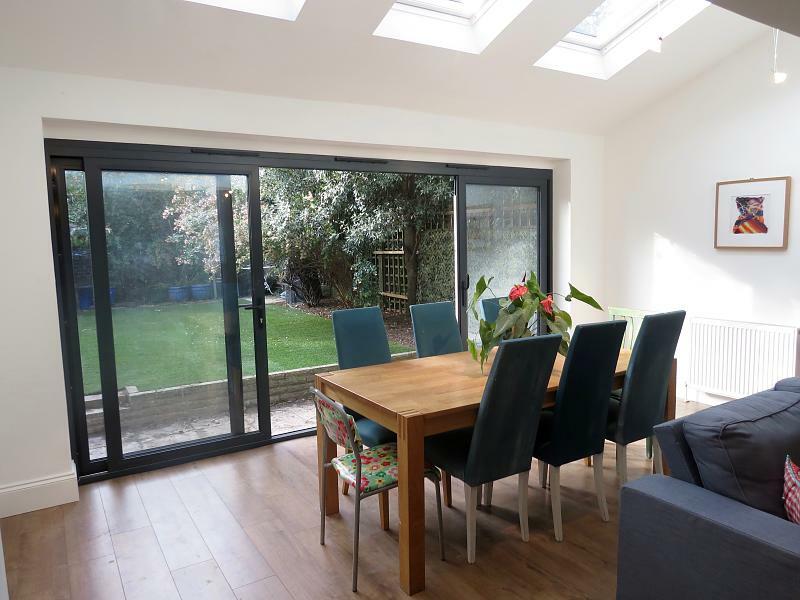 The extension offers a lovely outside in feel with Bifold doors opening the whole way back to the decked area stepping down to a lawn creating the perfect outdoor living space. Huntingfield Road, Putney, SW15 5EU. 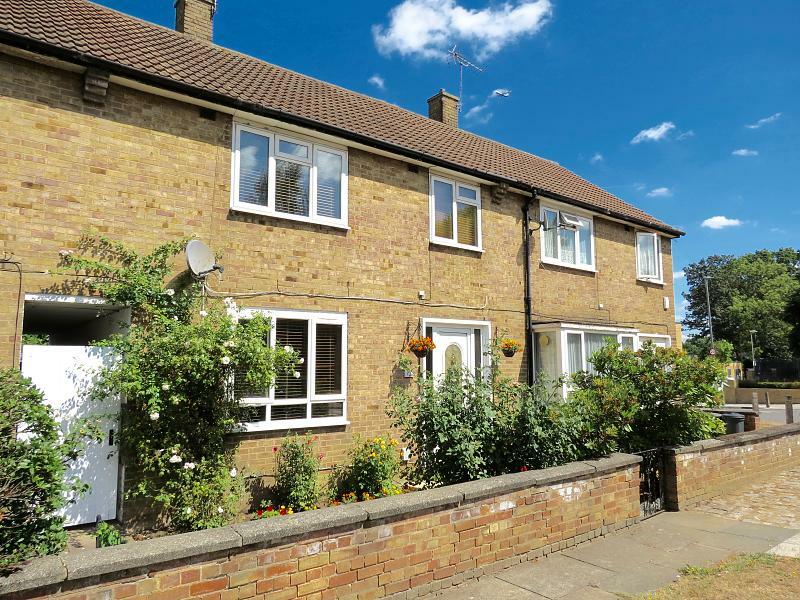 ***NEW TO MARKET*** We are delighted to offer this well presented three double bedroom mid terraced house. Set within the ever popular Dover House Conservation Area this charming house boast of light and space throughout and comprises three double bedrooms, modern family bathroom with stand alone shower, spacious entrance hall and large open plan kitchen living room full extended to create a wonderful airy space with glazed sliding doors opening onto a lovely private garden. 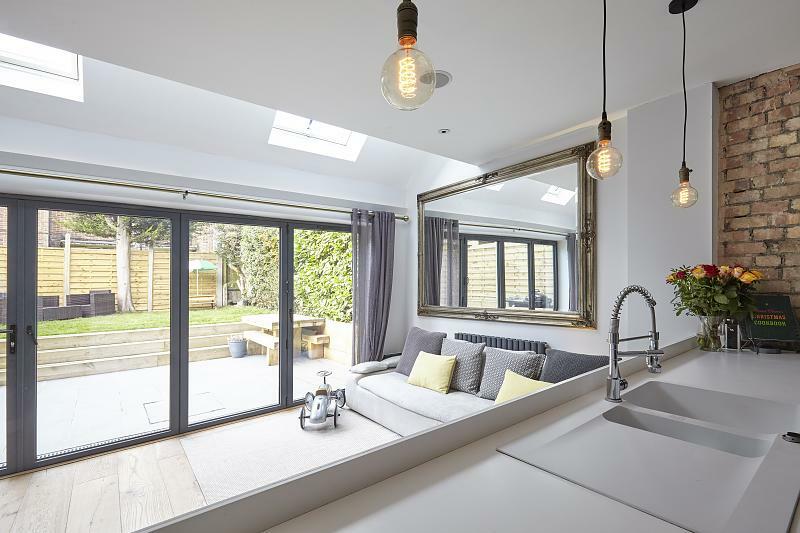 The loft has the headroom for potential further extension STPP) Barnes Mainline Station, Putney Heath, Richmond Park & the local amenities are just a short walk away. Dover House Road, Putney, London, SW15 5AD. A beautifully presented end of terrace house located in the highly sought after Dover House Conservation area. This charming family home offers light and space and is well proportioned throughout, comprising spacious reception room with bay window, lovely modern kitchen leading to the conservatory eating area, side access to the brick walled secluded charming established garden not overlooked from the rear, moving upstairs we have split level landing with WC and shower, upstairs are three generous bedrooms and a well presented family bathroom. 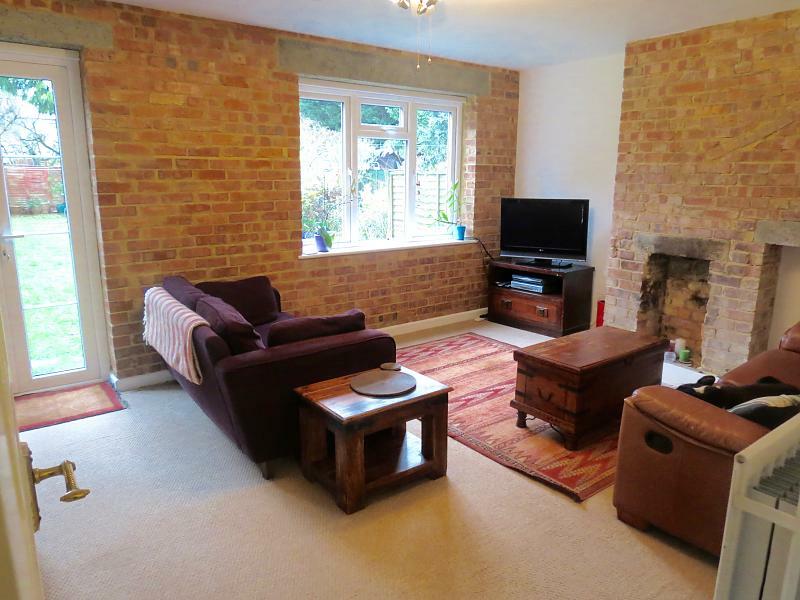 This lovely property has scope to extend (STPP) into the loft and ground floor rear. Furthermore the property benefits from it's own driveway with the advantage of an off street parking space. 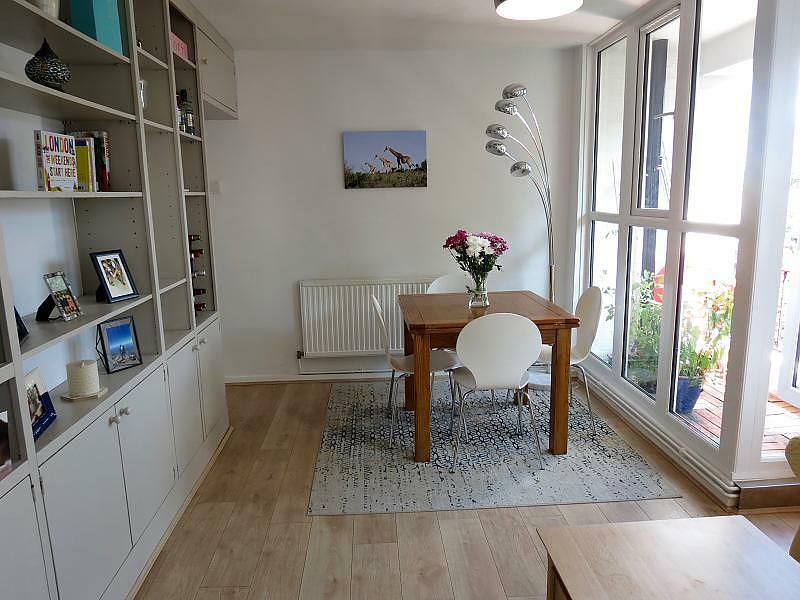 Located in an ideal position for easy access to local transport links from Barnes Station and Putney, and the wide open green spaces surrounding Putney. Pleasance Road, Putney, SW15 5HR. 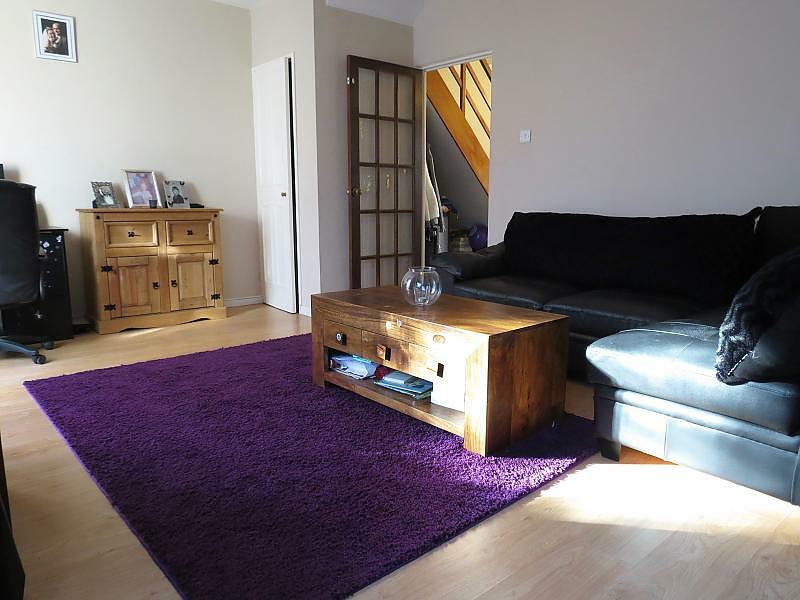 We are delighted to offer this exceptional three double bedroom semi detached house. 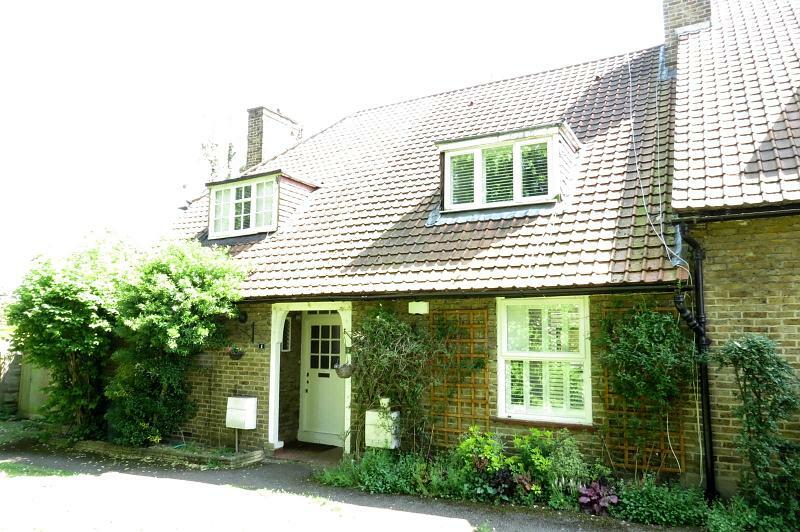 The home is situated within the ever popular Dover House conservation Area over looking a quaint tree lined green. 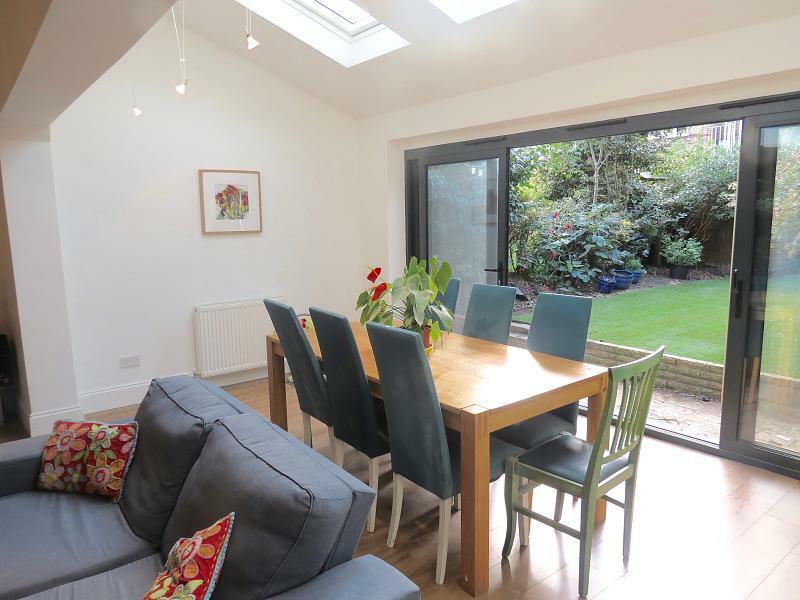 This property boasts of light and space throughout and has been fully extended at the rear side and into the loft to create an impressive entertainment space. 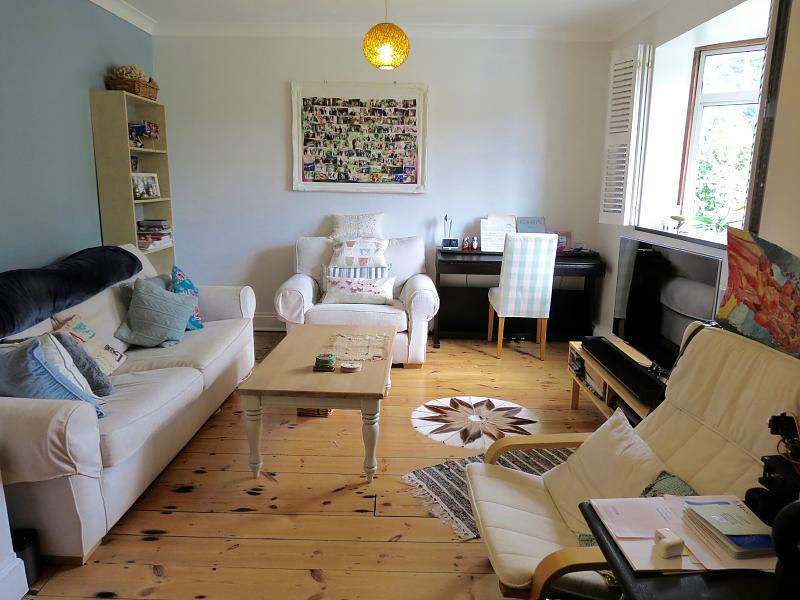 The home comprises three double bedrooms, en-suite, large modern family bathroom, large open plan kitchen dining wrapping around to a large modern living room with feature fire place. 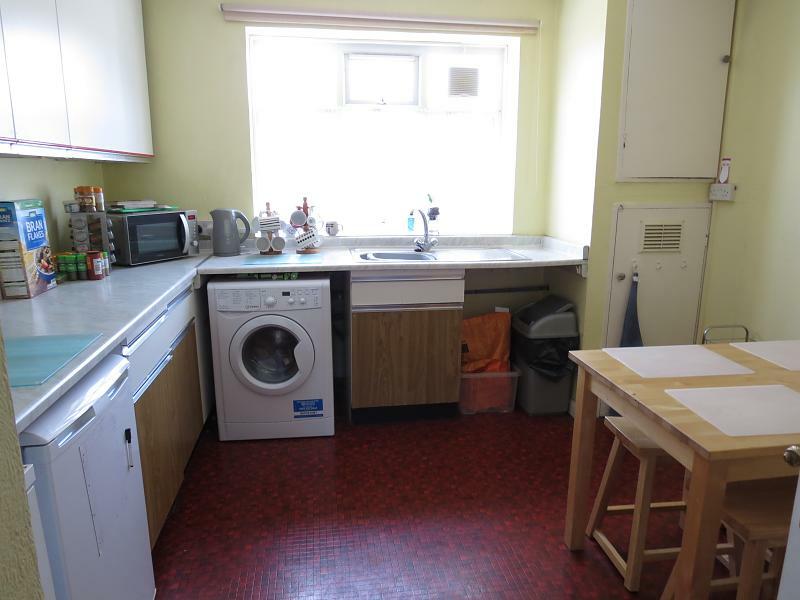 In addition there is a downstairs utility room. The dining room offers bifold doors opening on to a large private patio leading around to a spacious private lawned garden. Barnes Mainline station, the local buses, shops and amenities are just moments away as well as the green open spaces of Putney Heath and Richmond Park. Covering : Putney, Wandsworth, Battersea, Balham, Tooting, Streatham hill, West Dulwich, East Dulwich, Forest Hill. Parklane, Knightbridge, Mayfair, Maida Vale, Notting Hill, Kensington, Chelsea and Fulham.